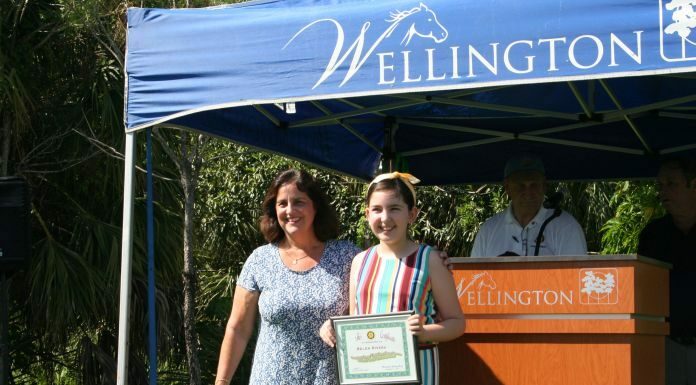 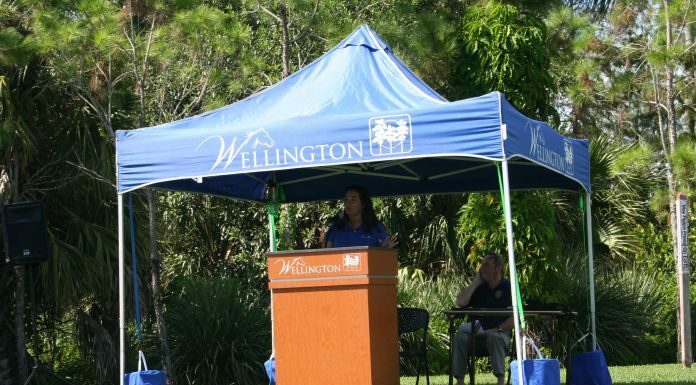 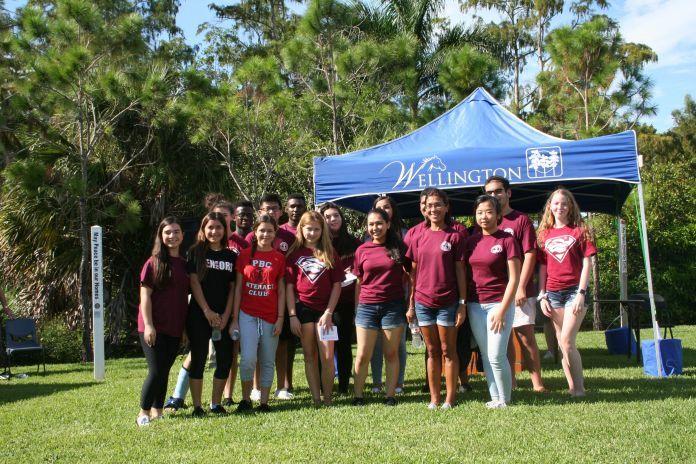 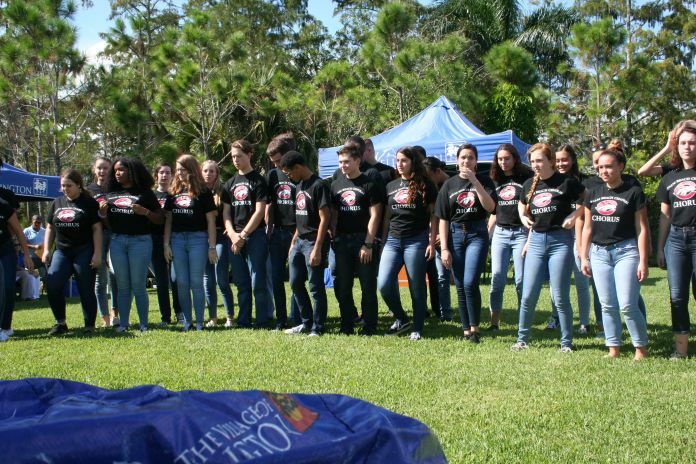 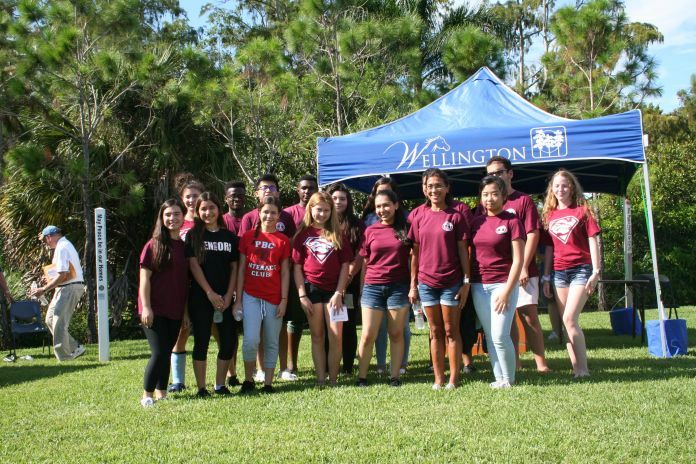 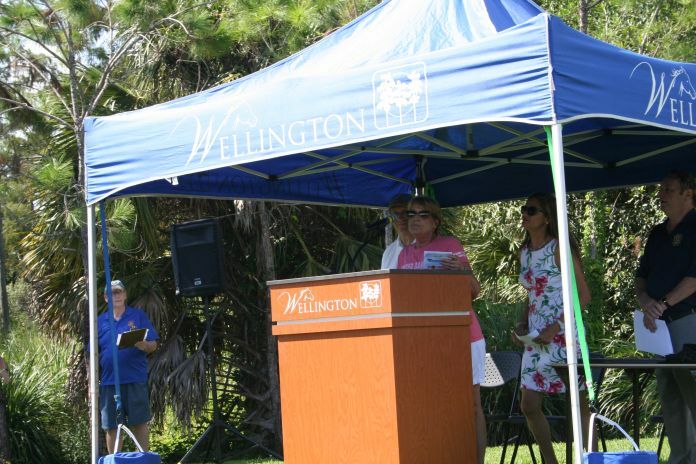 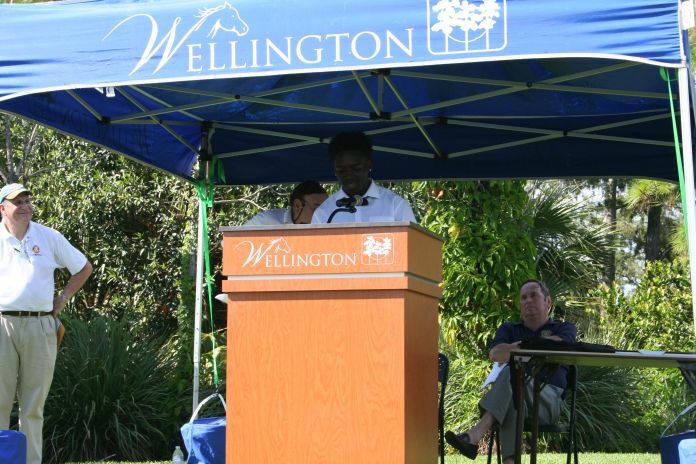 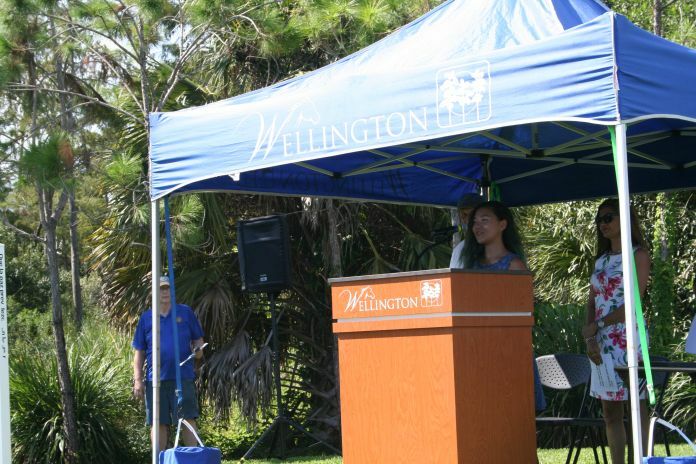 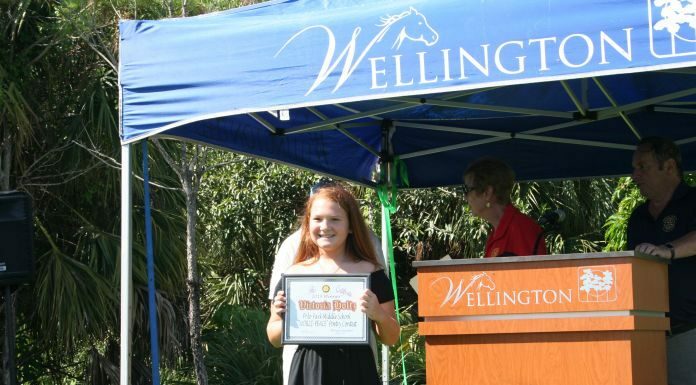 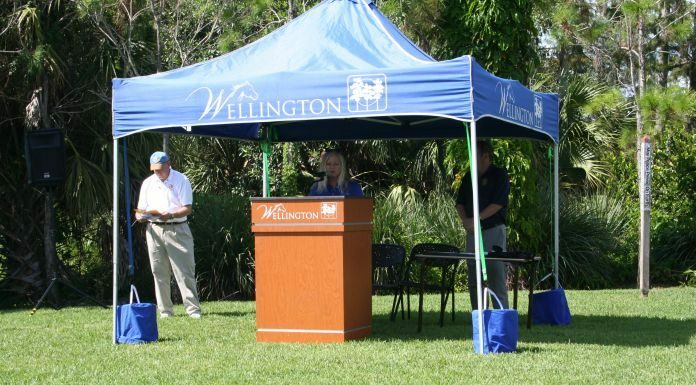 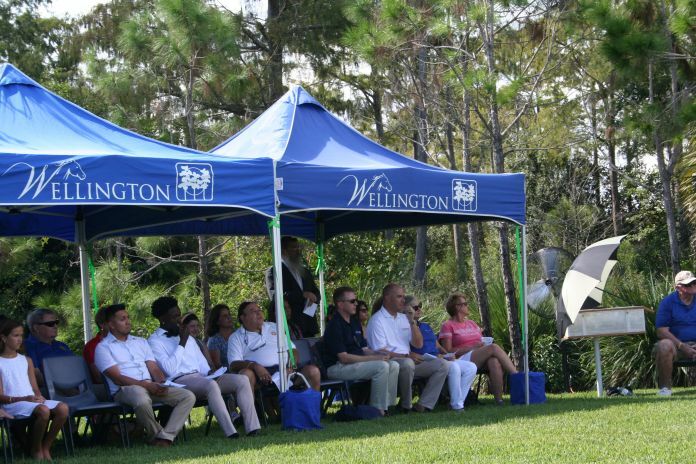 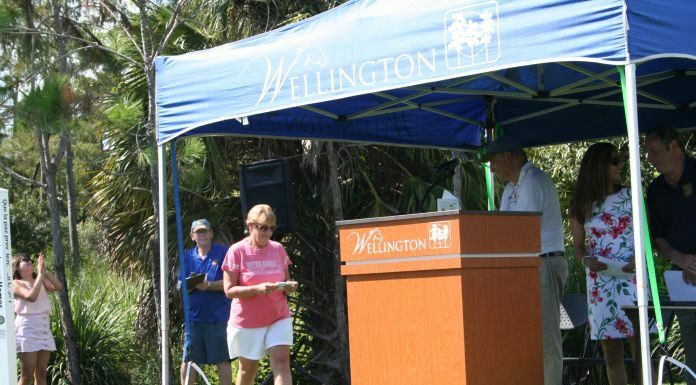 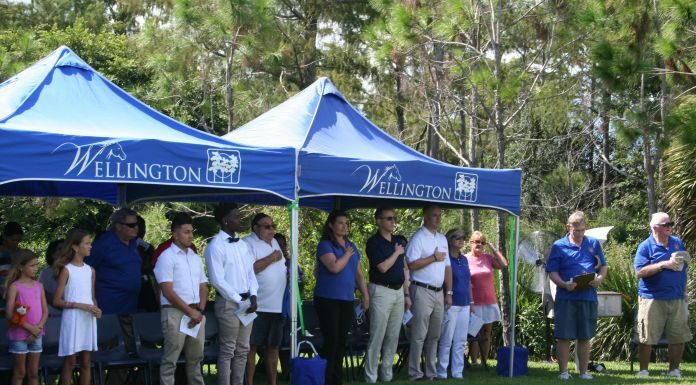 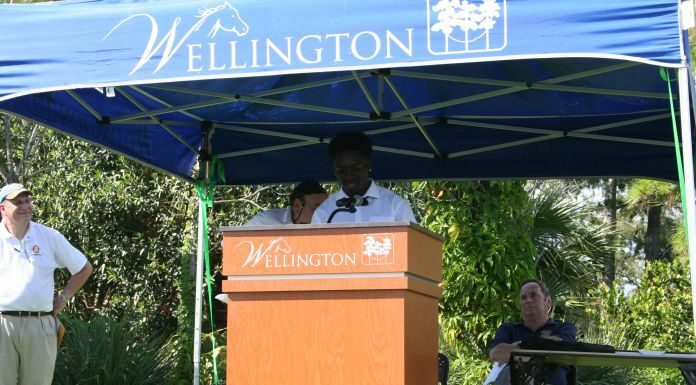 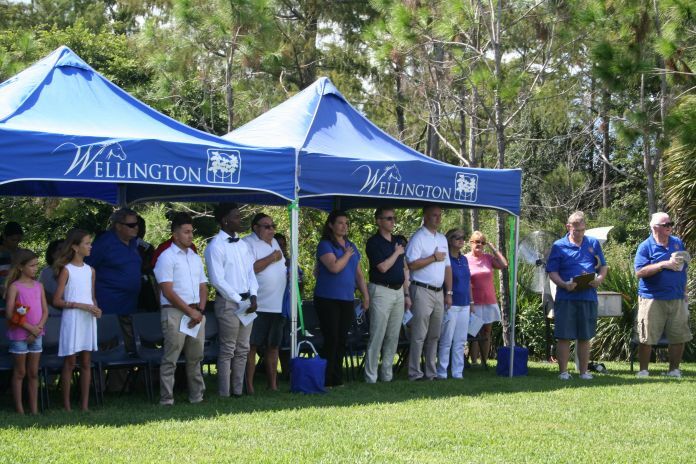 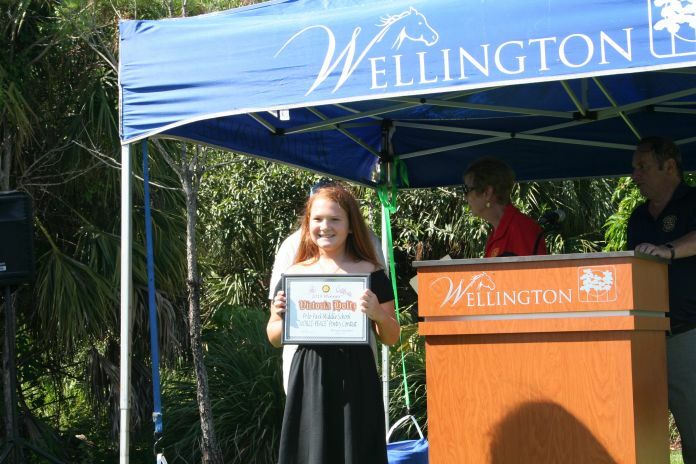 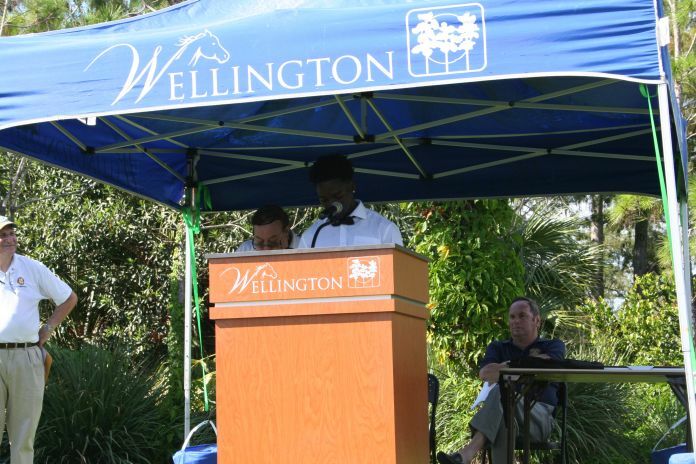 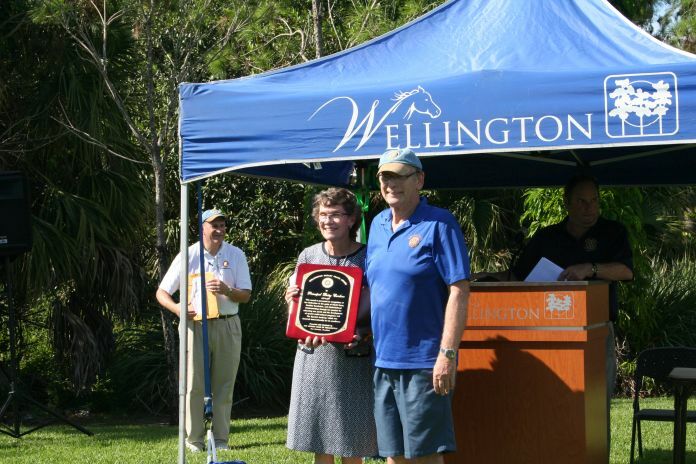 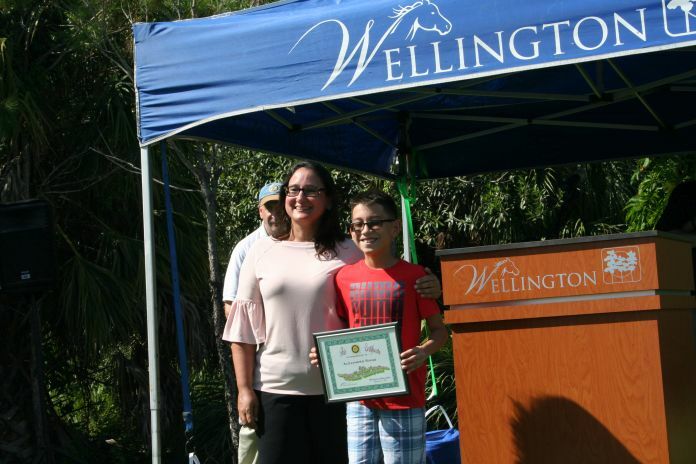 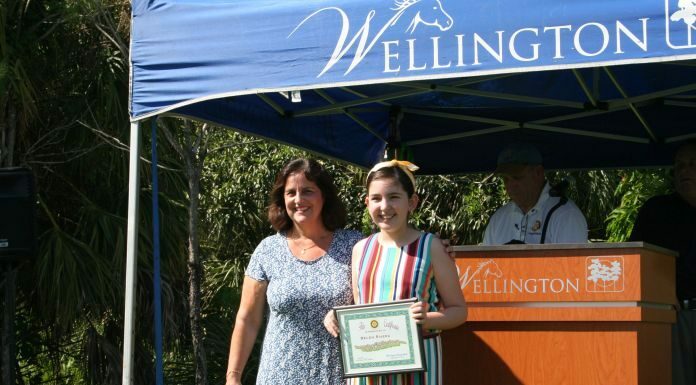 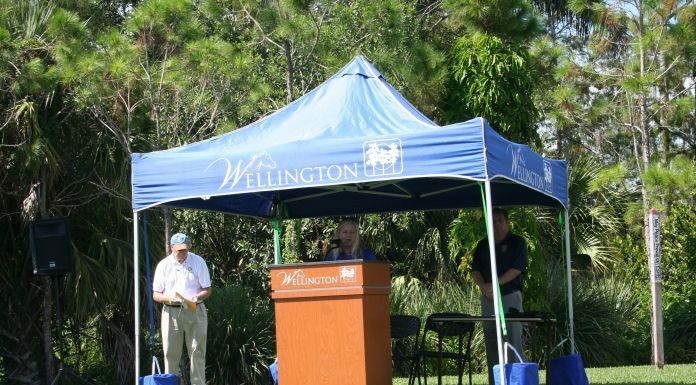 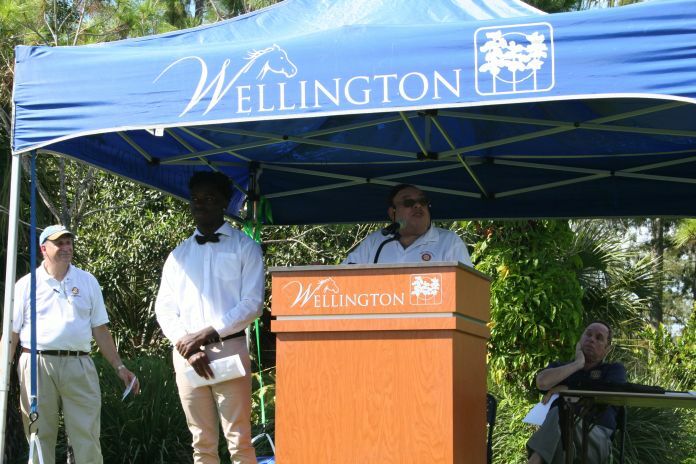 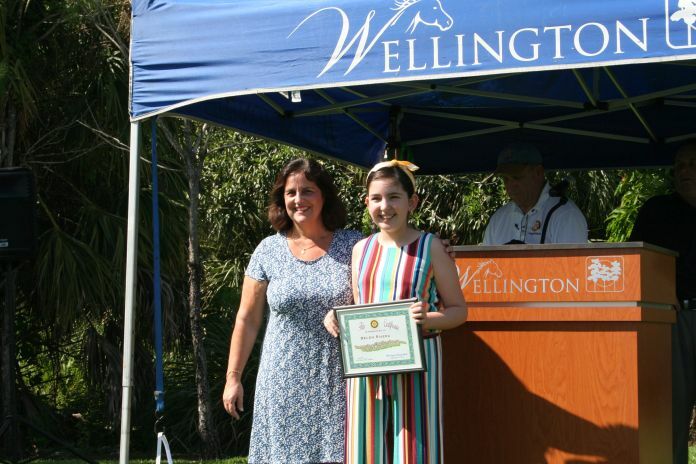 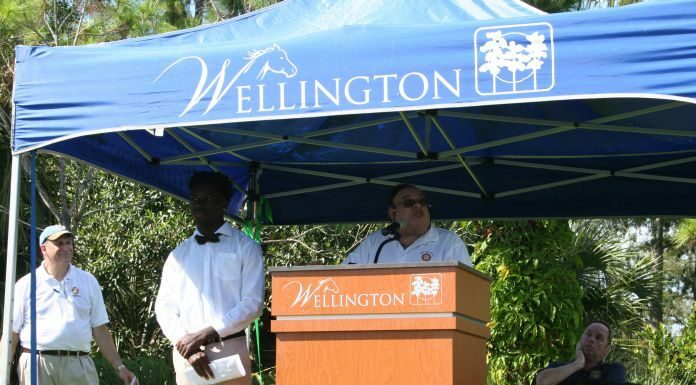 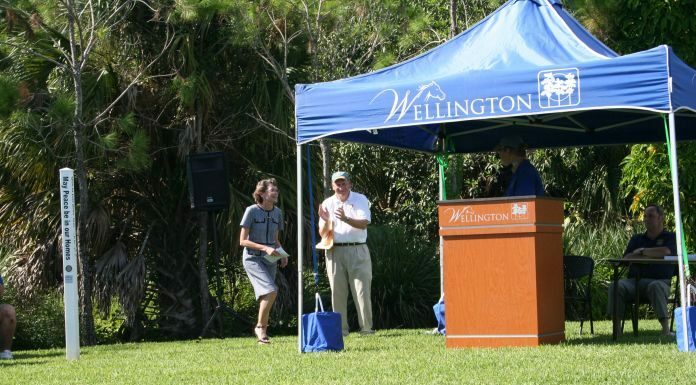 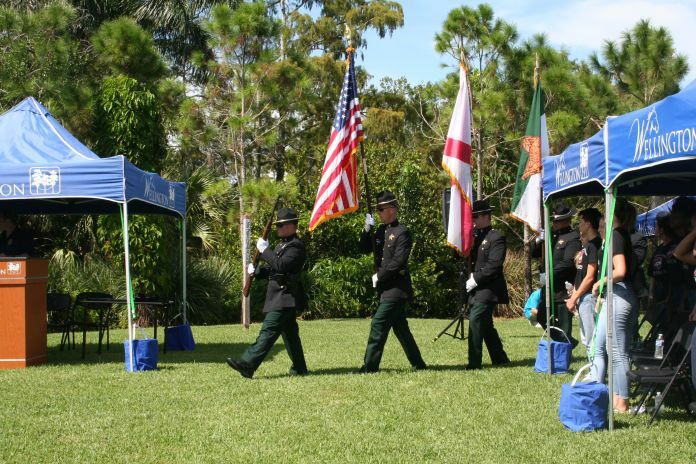 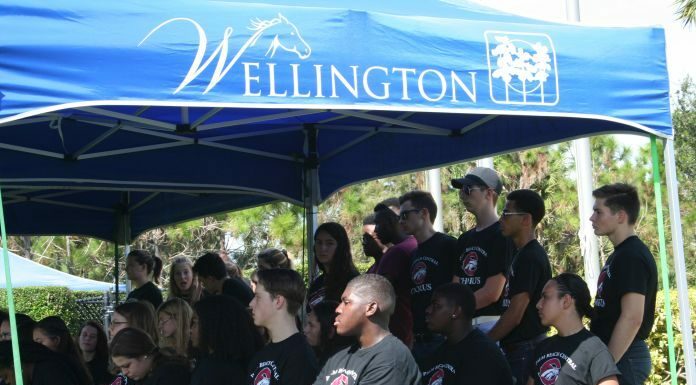 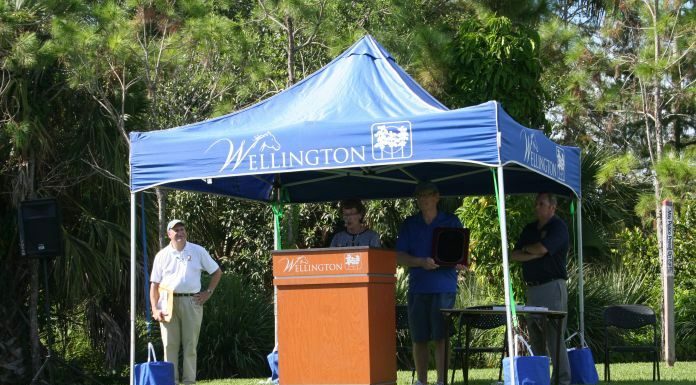 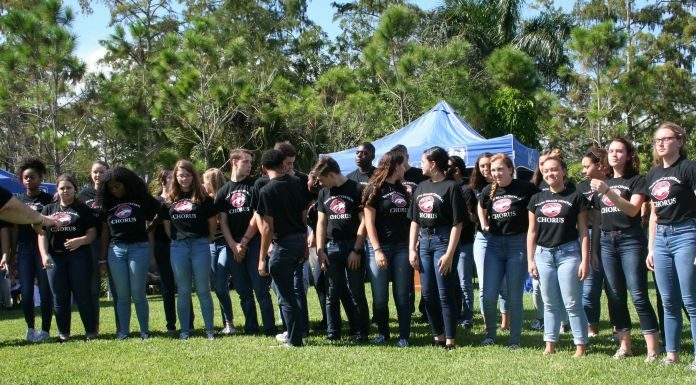 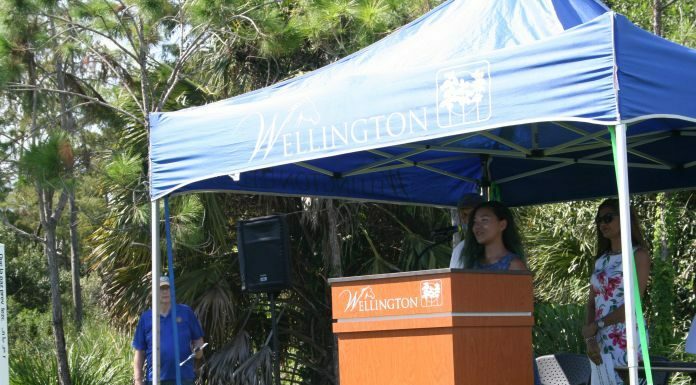 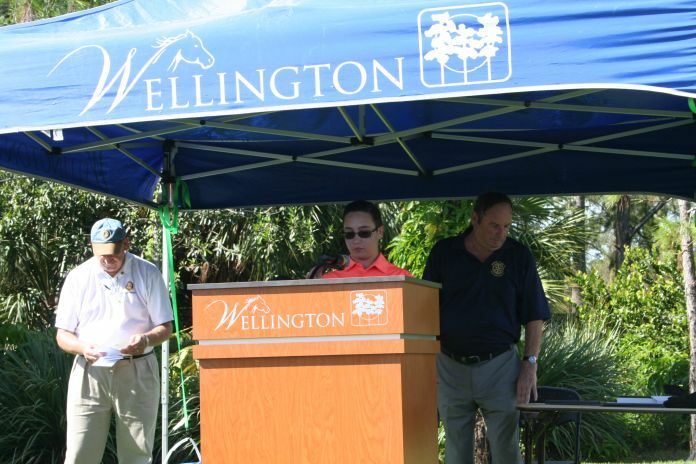 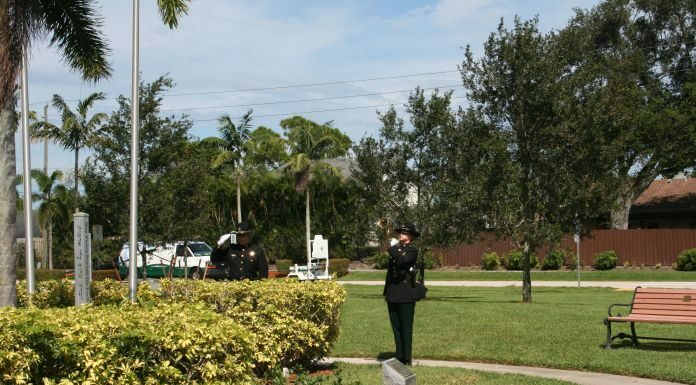 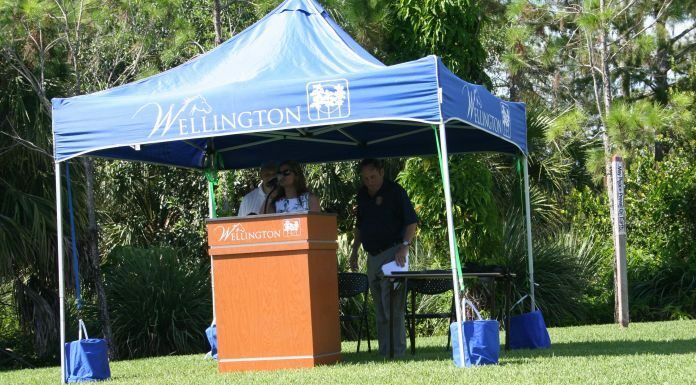 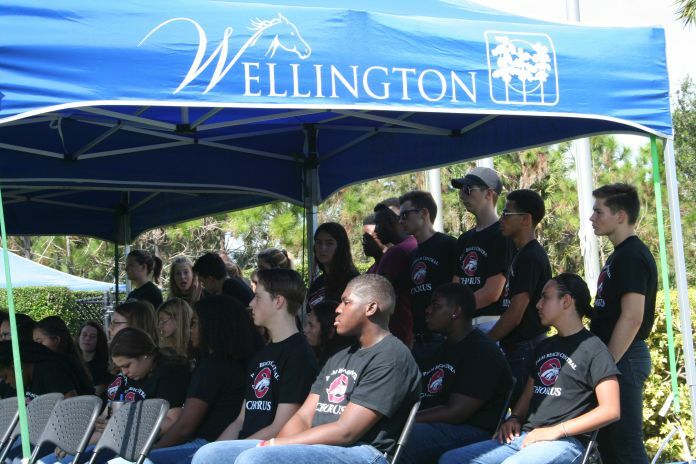 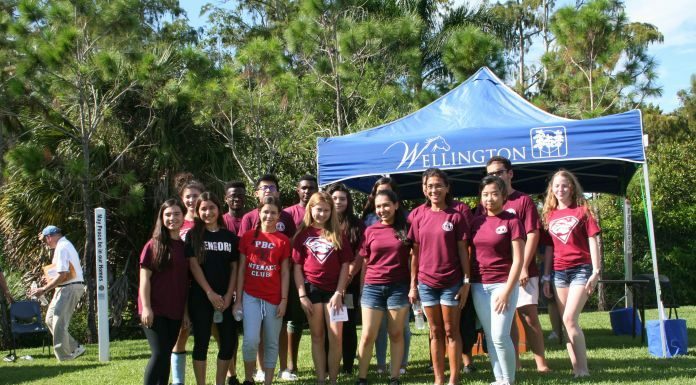 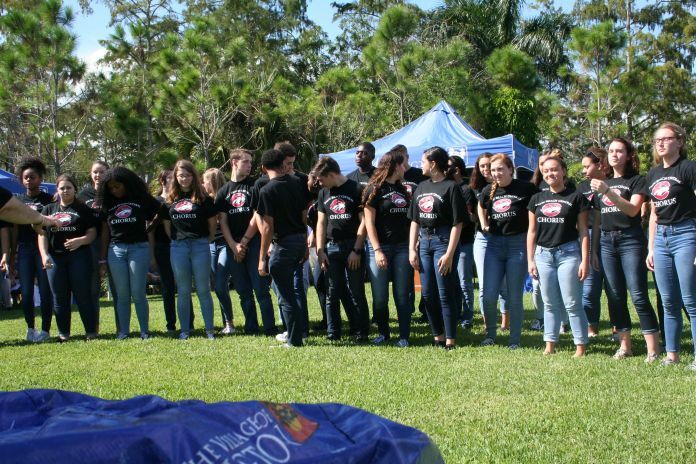 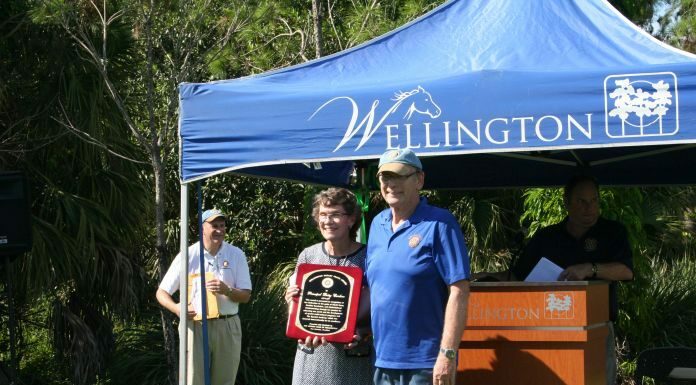 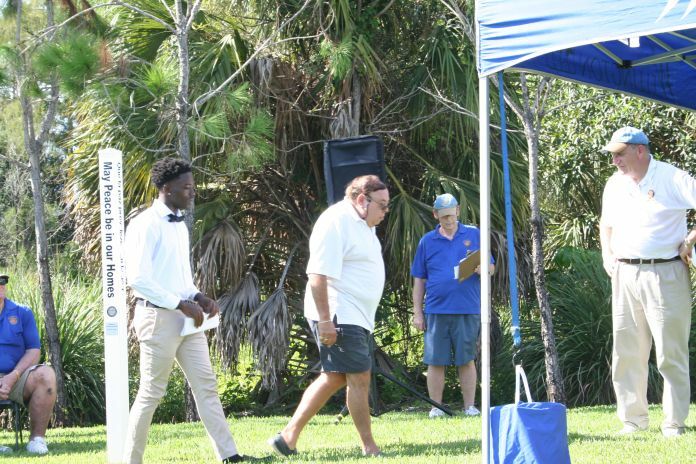 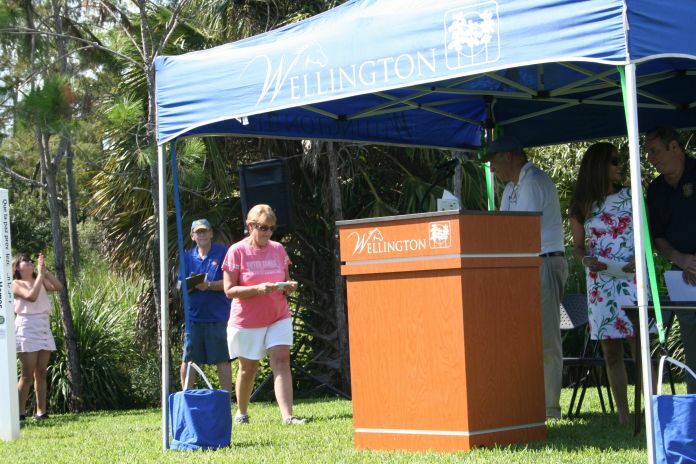 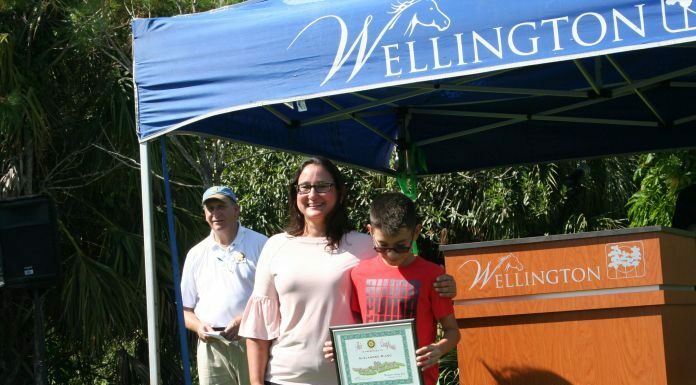 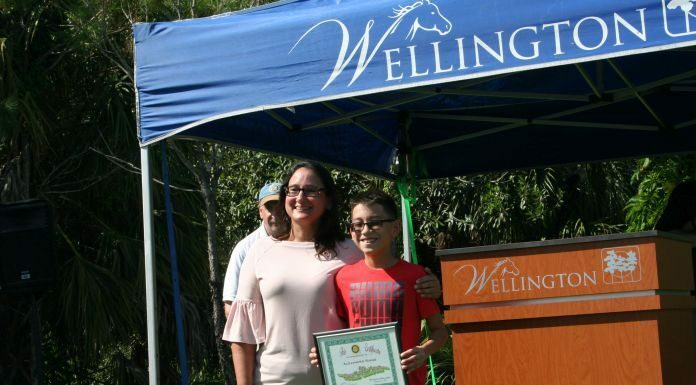 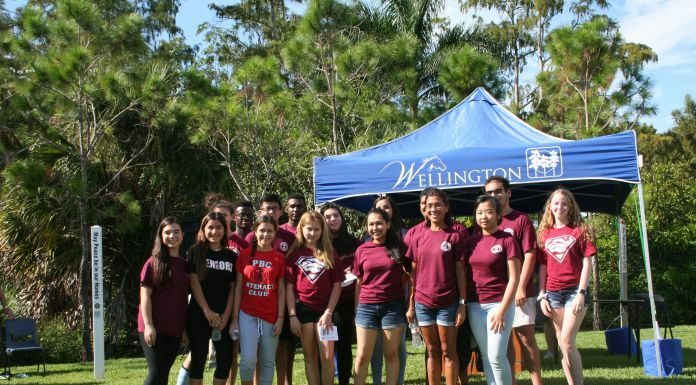 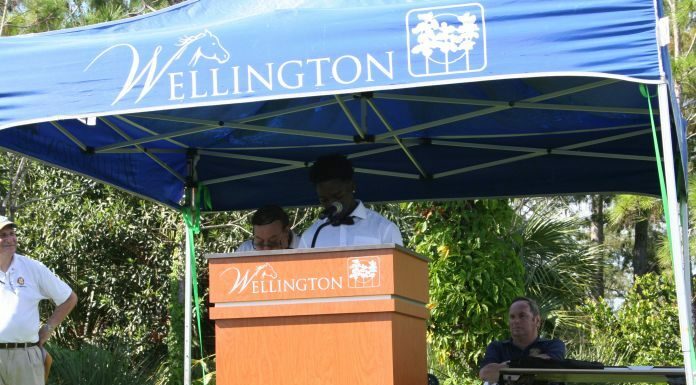 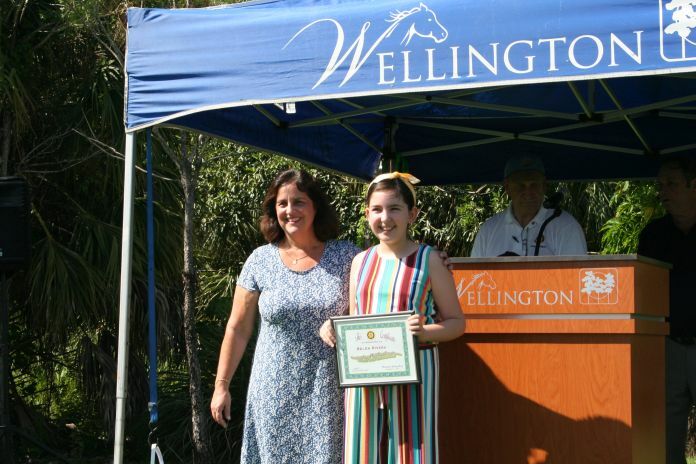 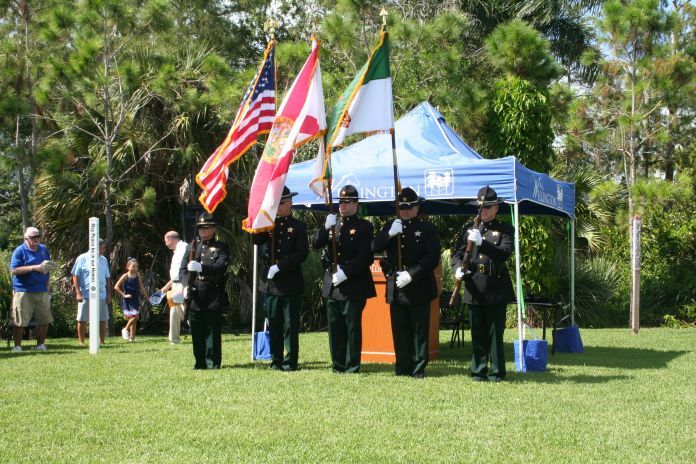 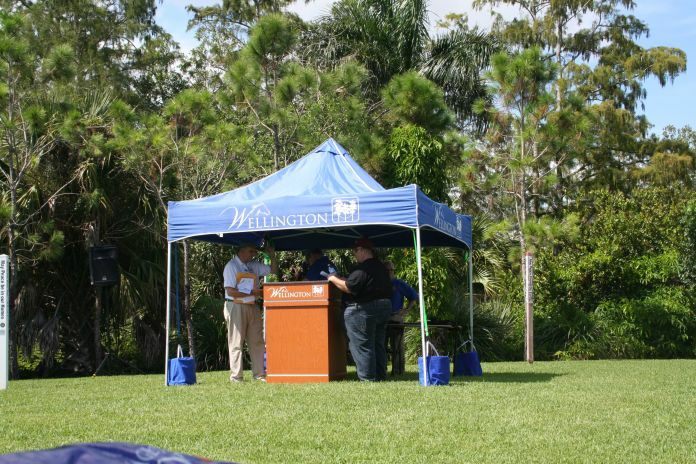 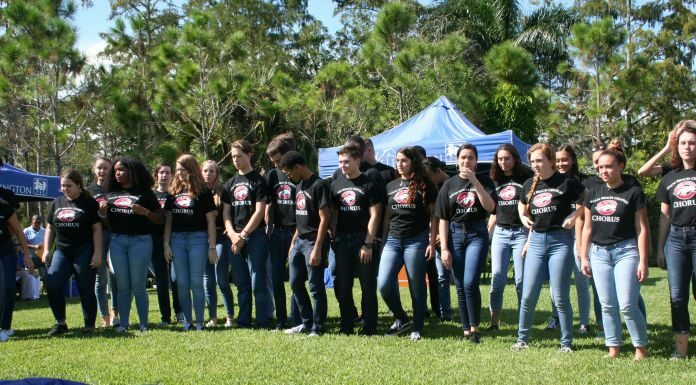 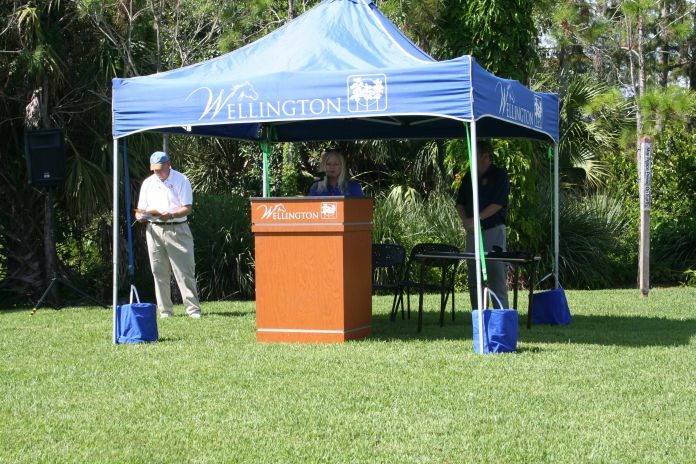 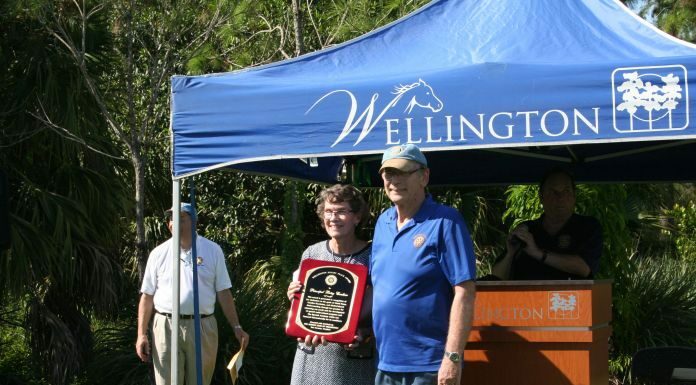 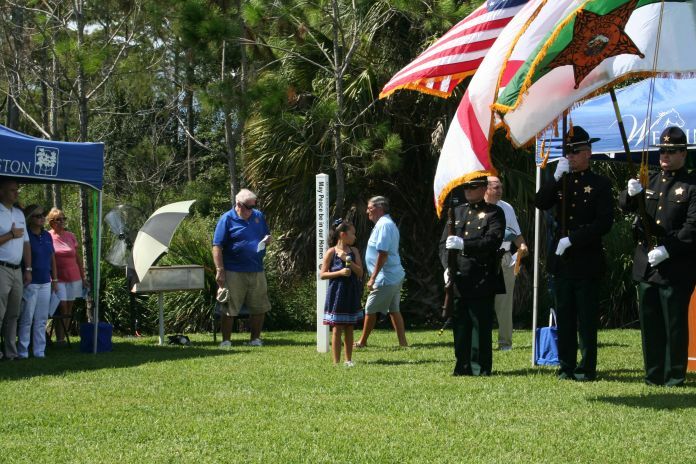 On Sunday, Sept. 23, 2018, the Wellington Rotary Club and the Village of Wellington presented the 11th Annual World Peace Ceremony. 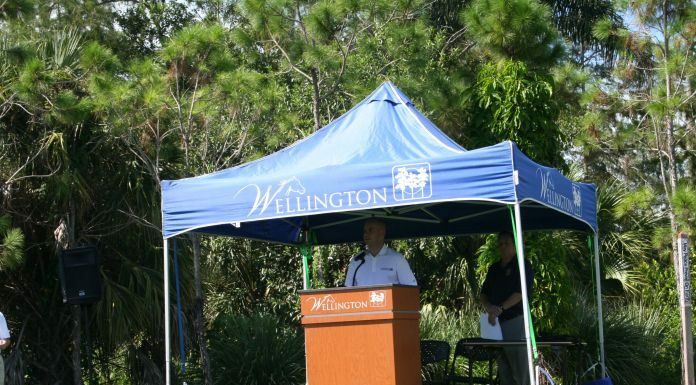 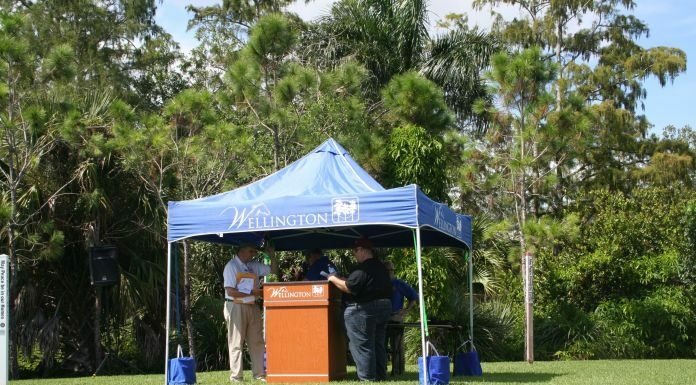 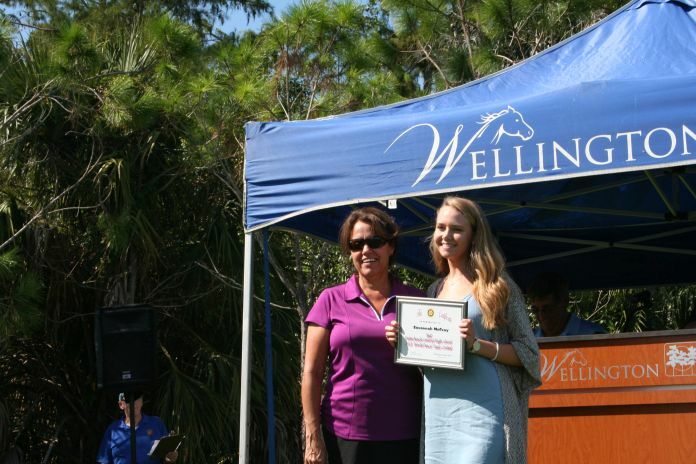 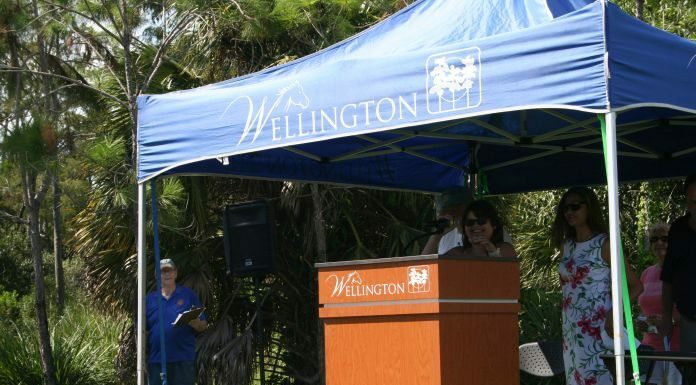 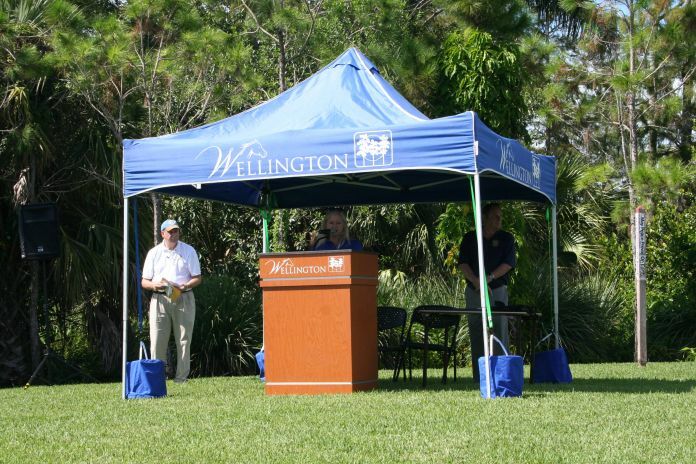 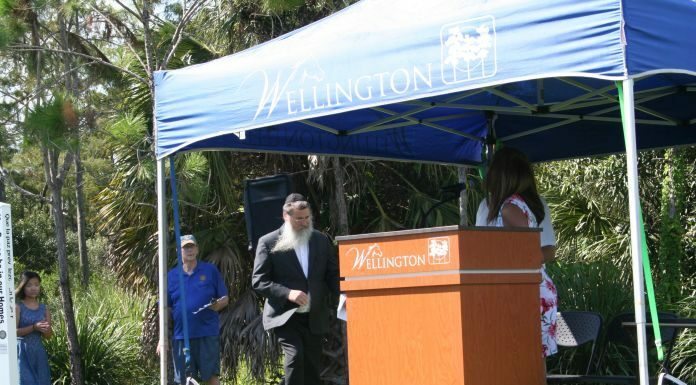 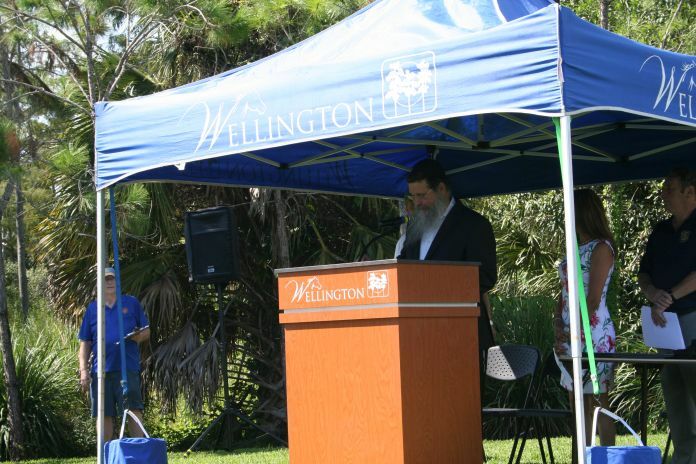 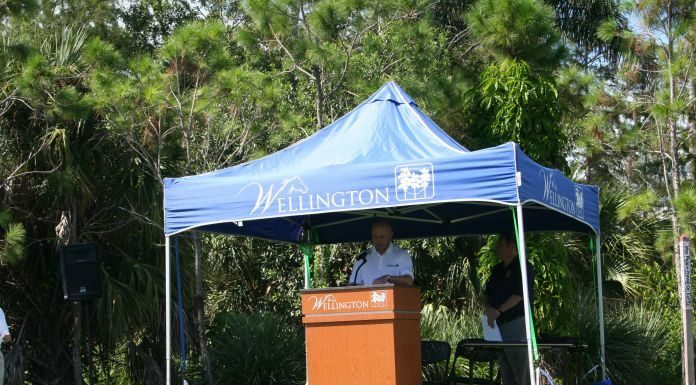 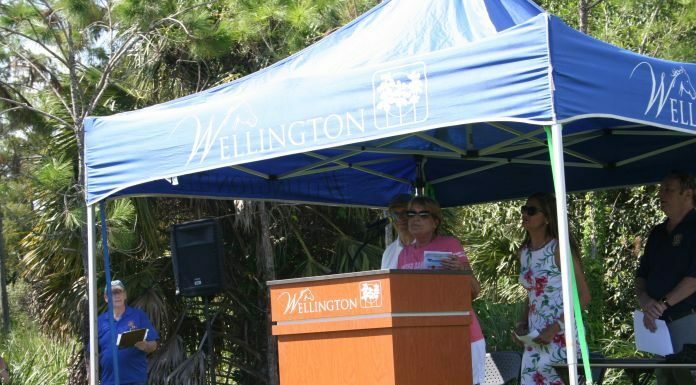 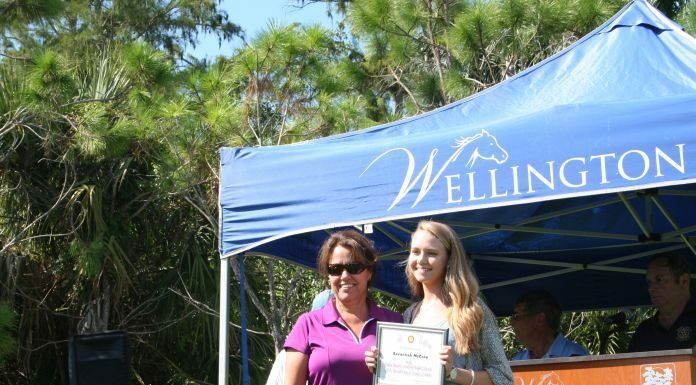 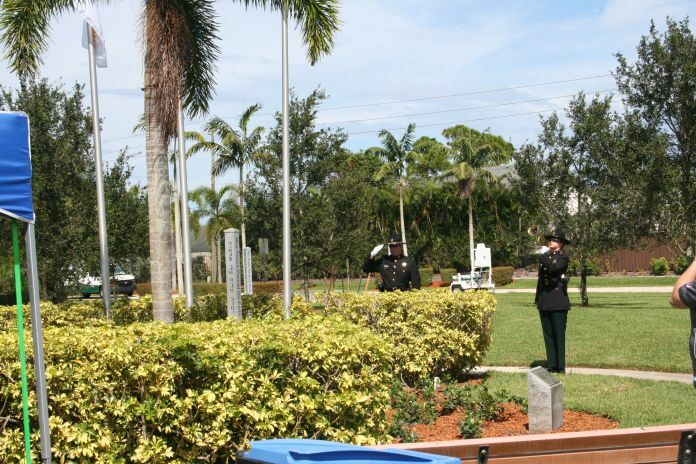 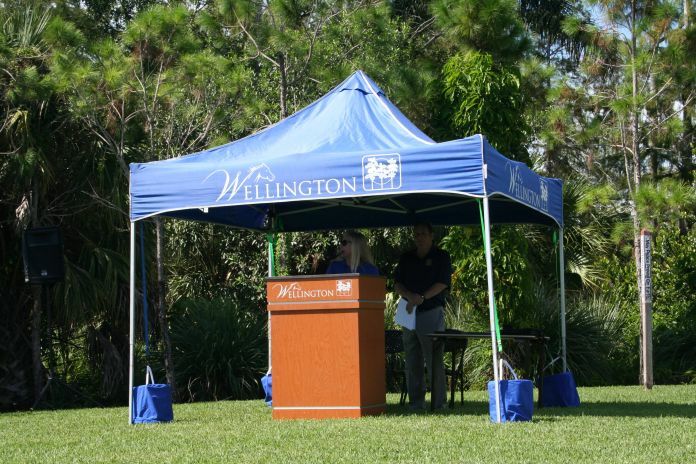 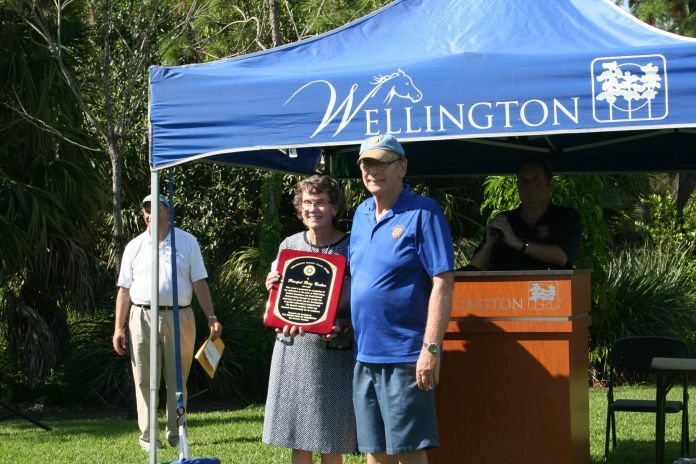 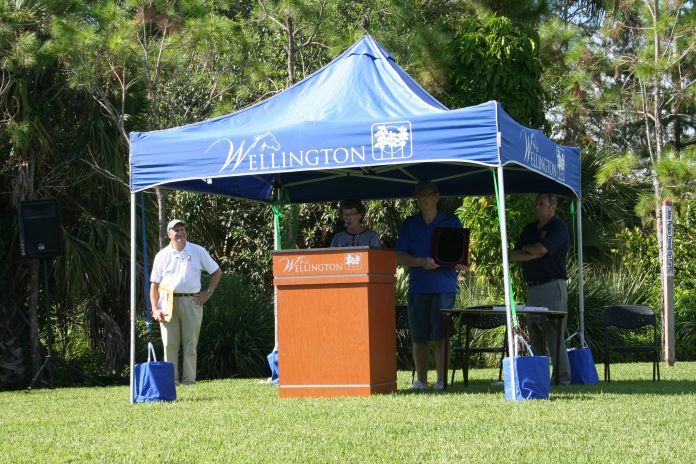 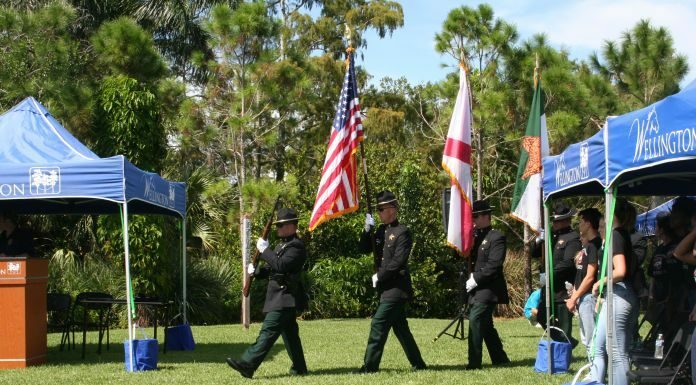 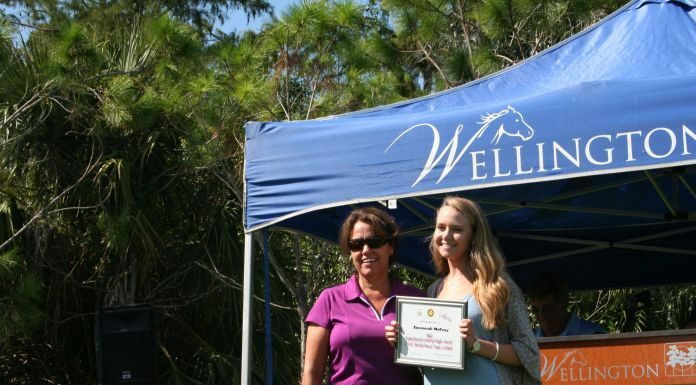 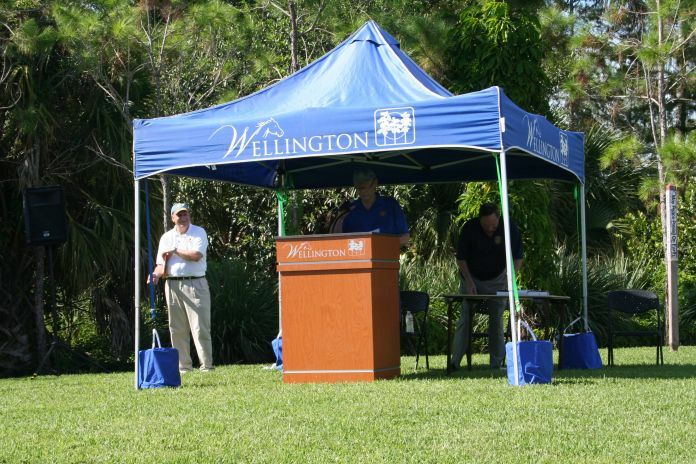 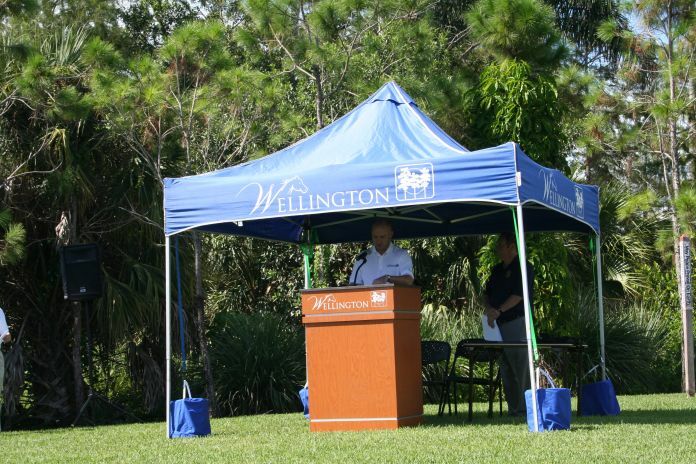 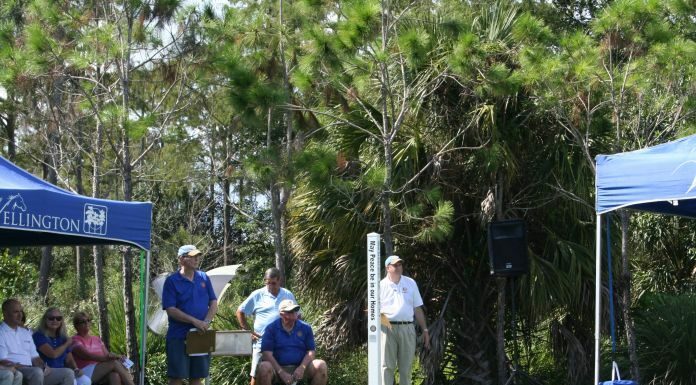 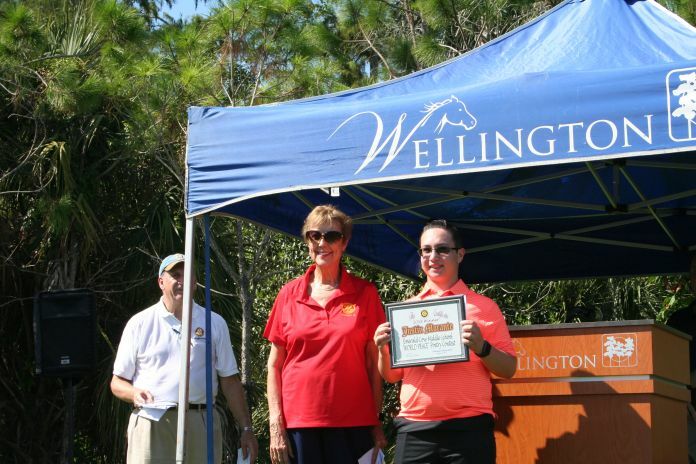 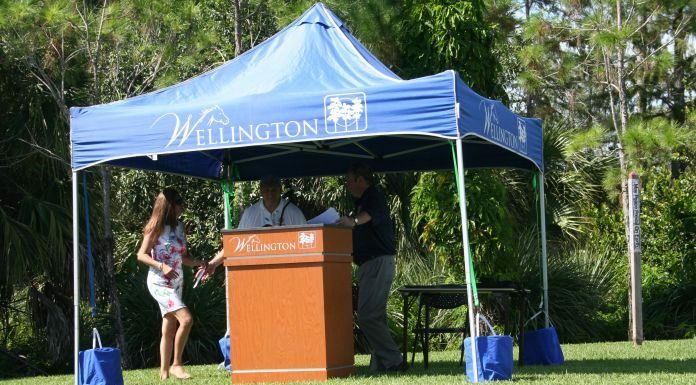 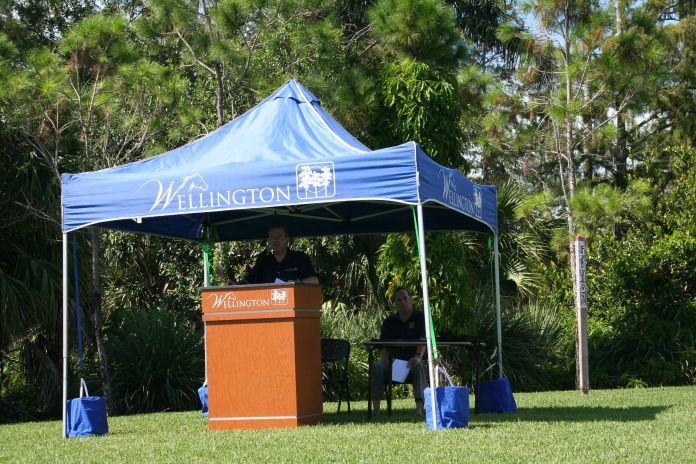 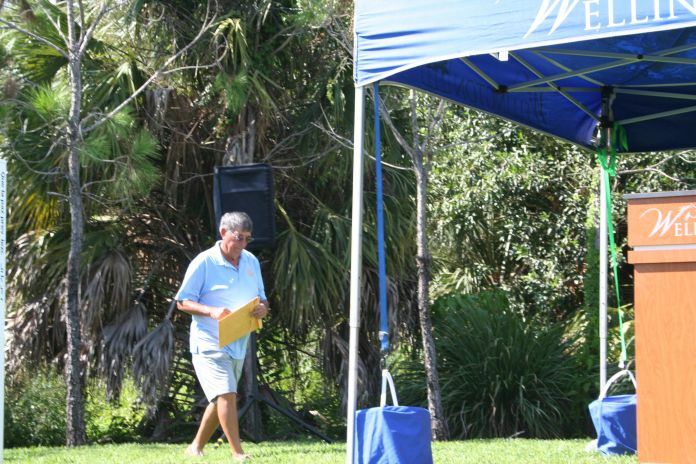 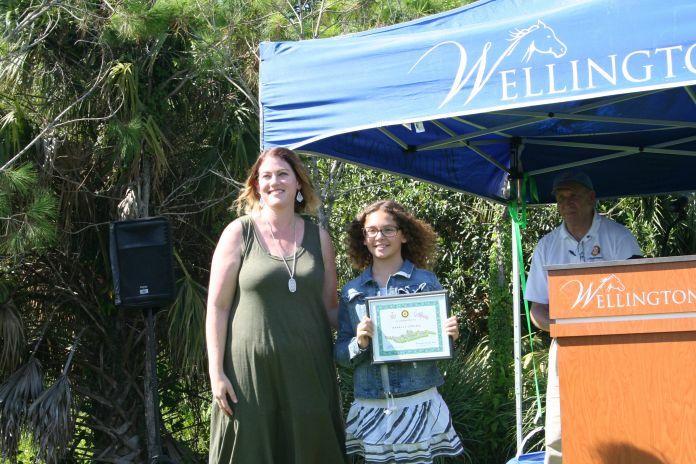 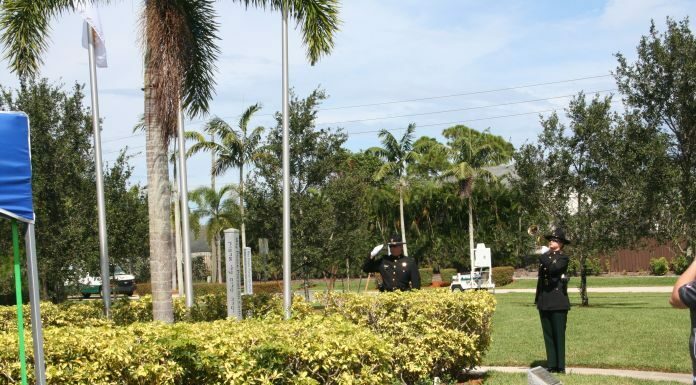 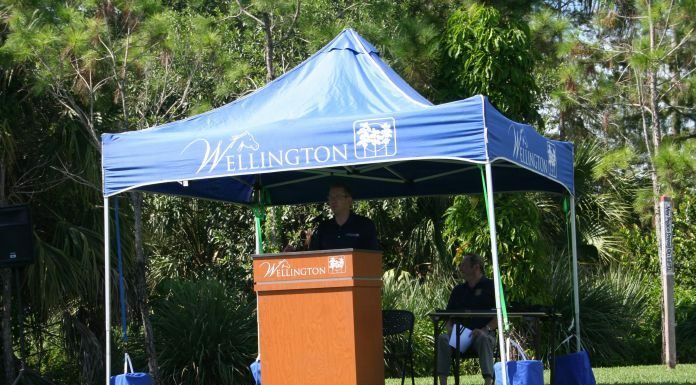 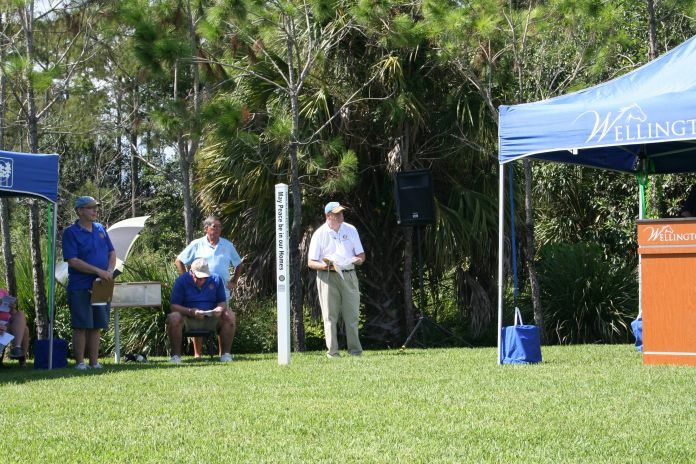 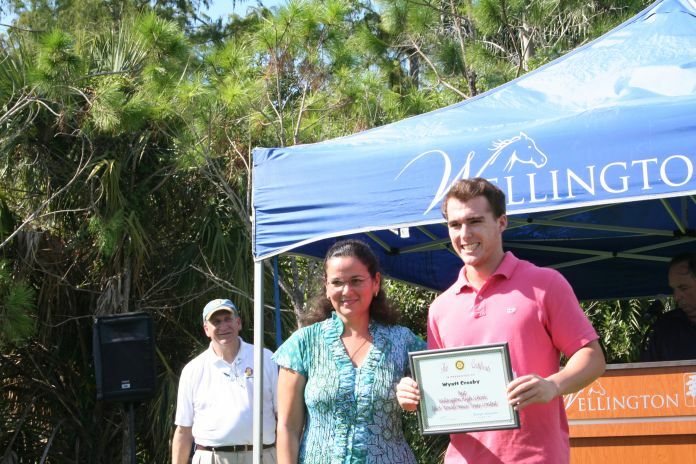 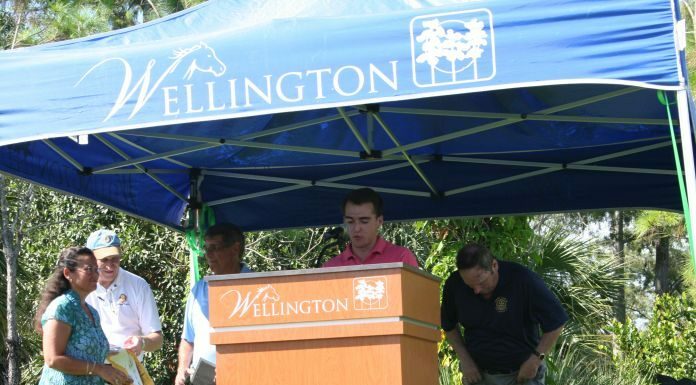 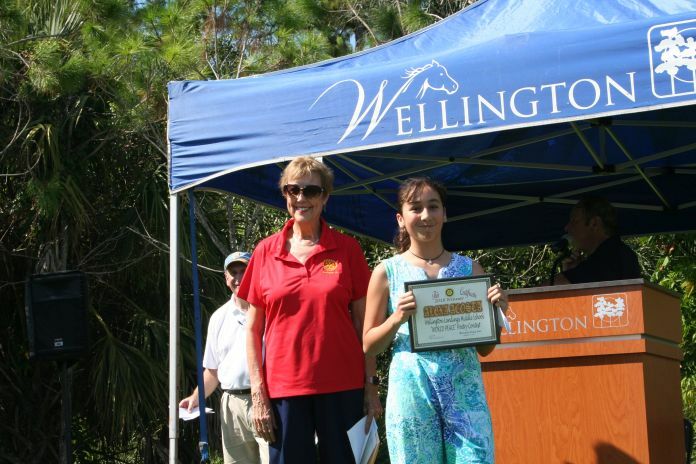 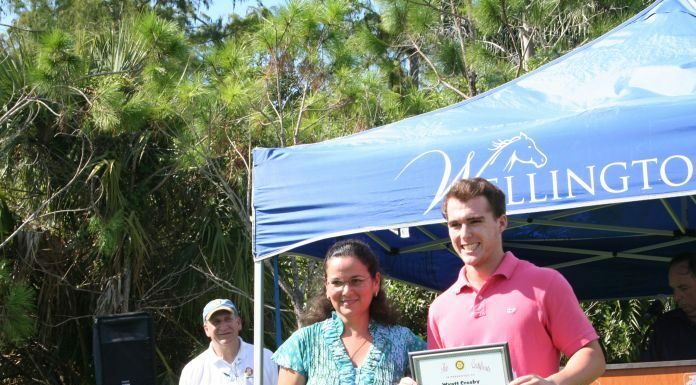 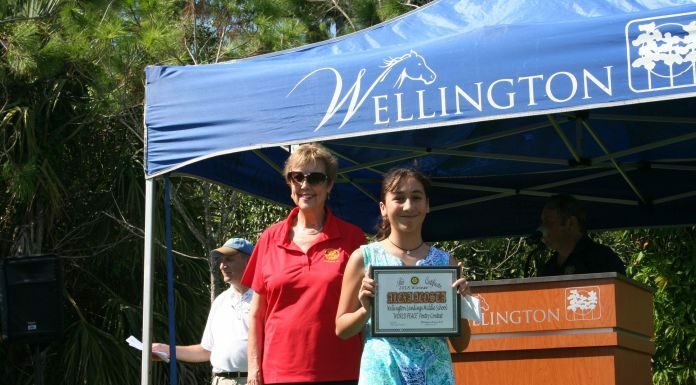 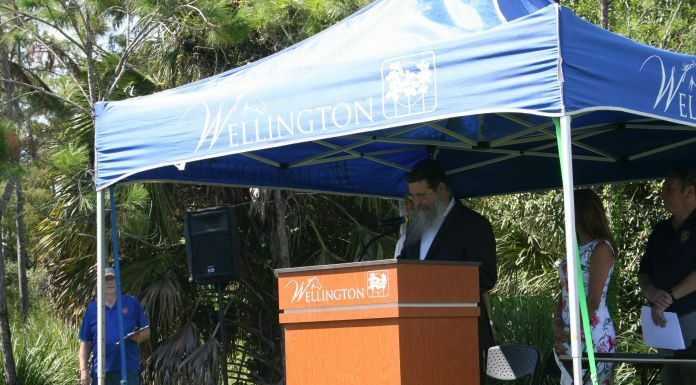 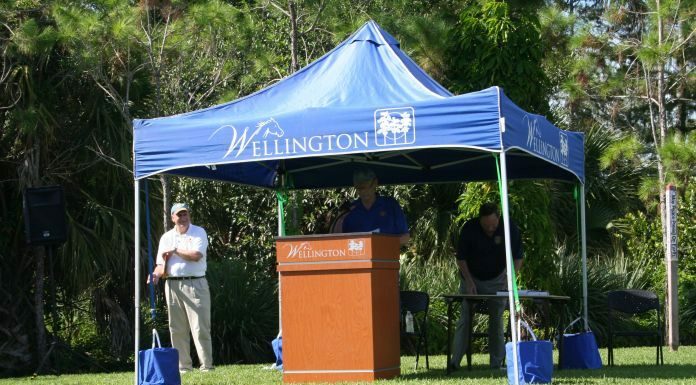 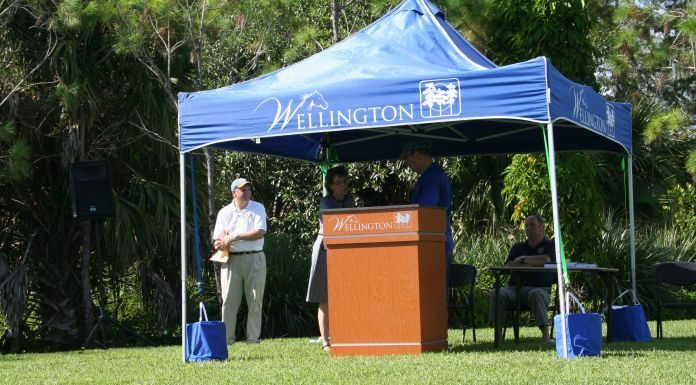 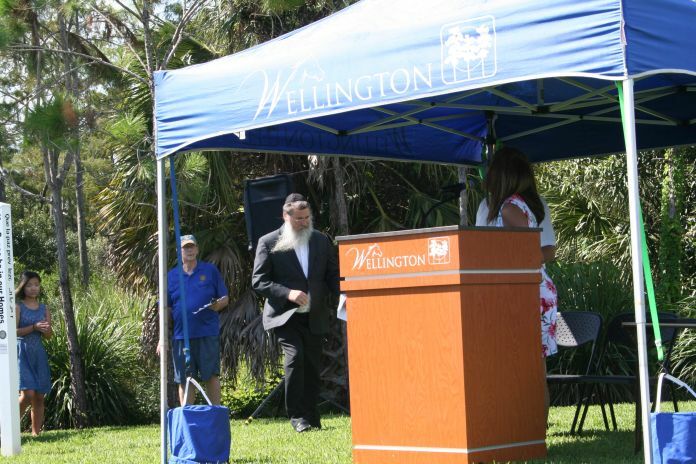 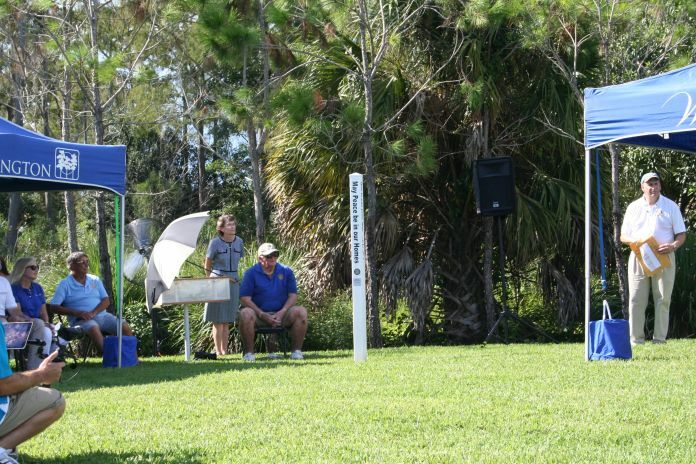 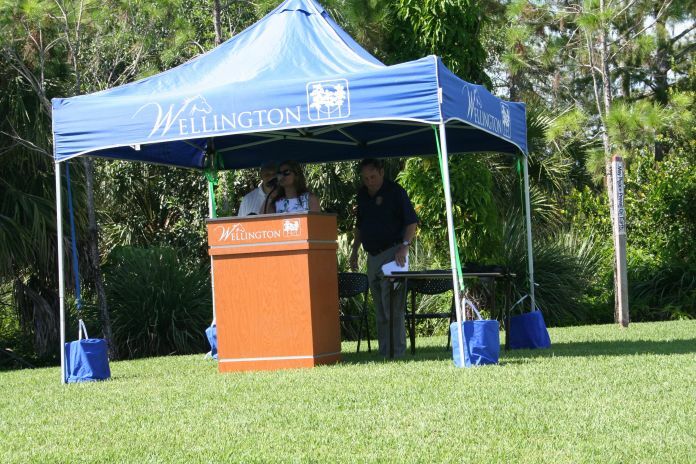 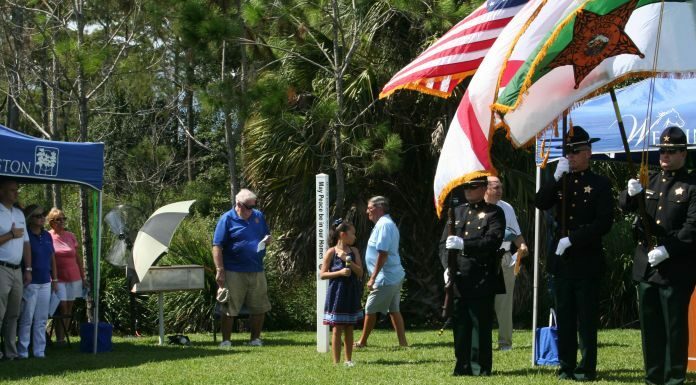 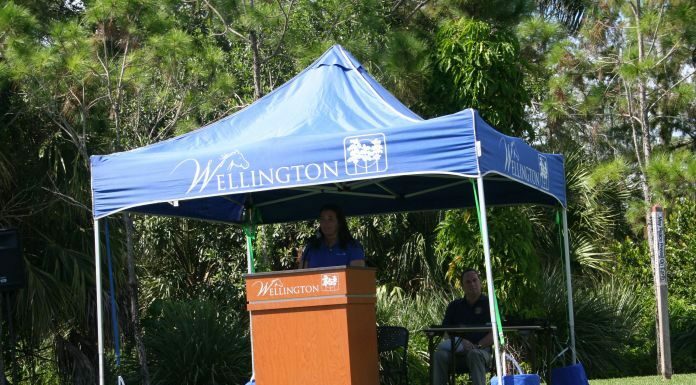 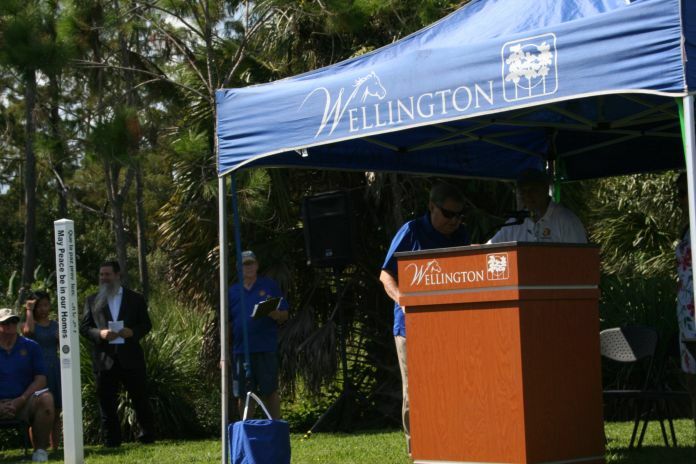 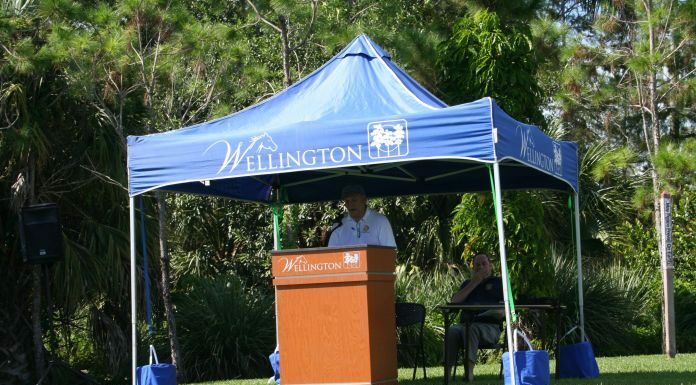 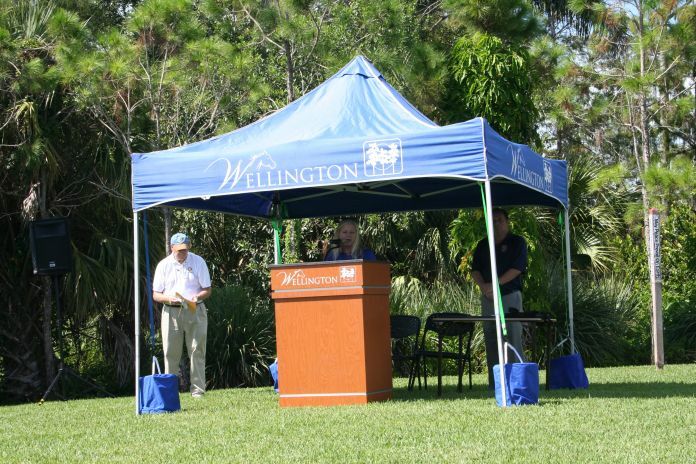 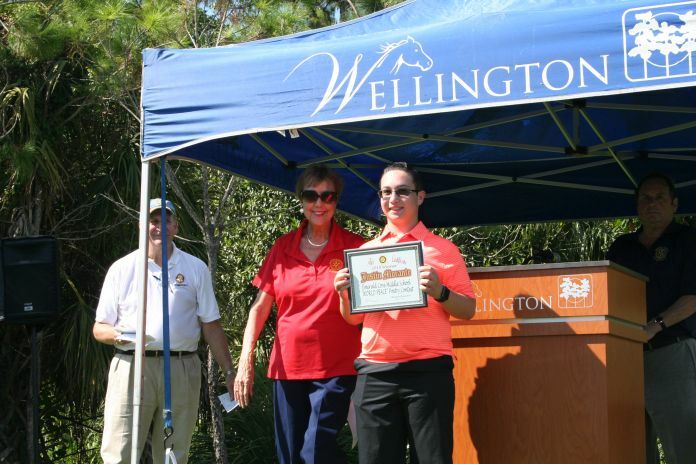 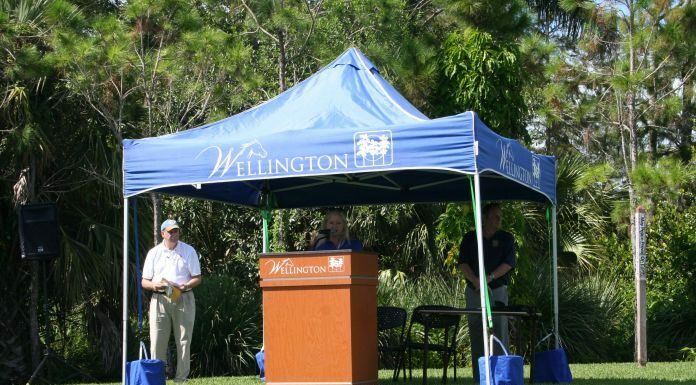 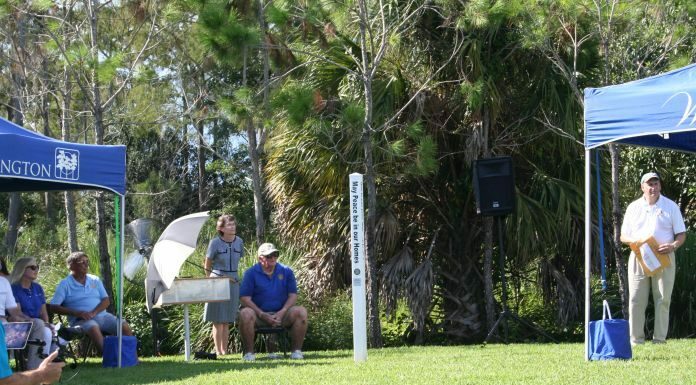 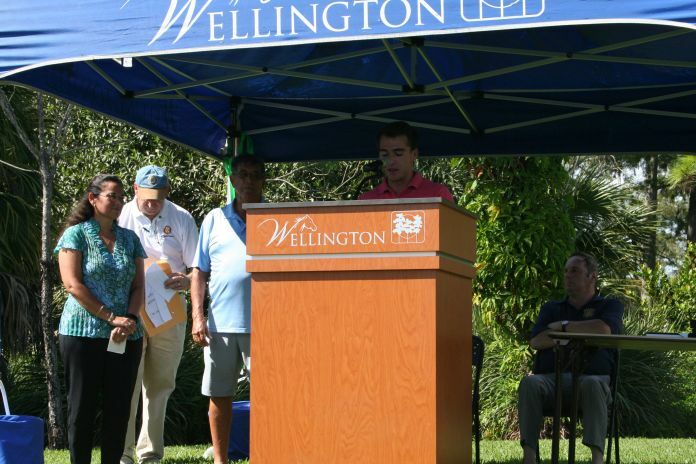 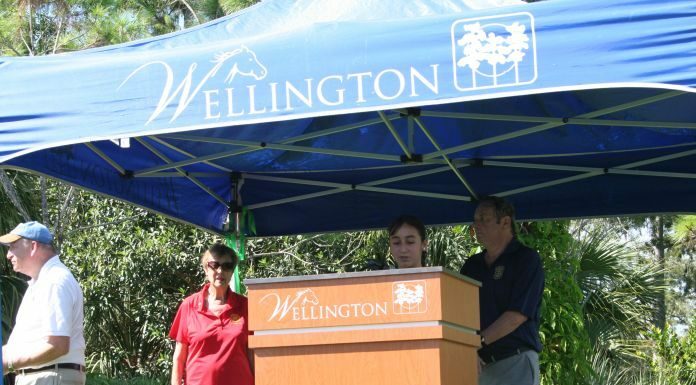 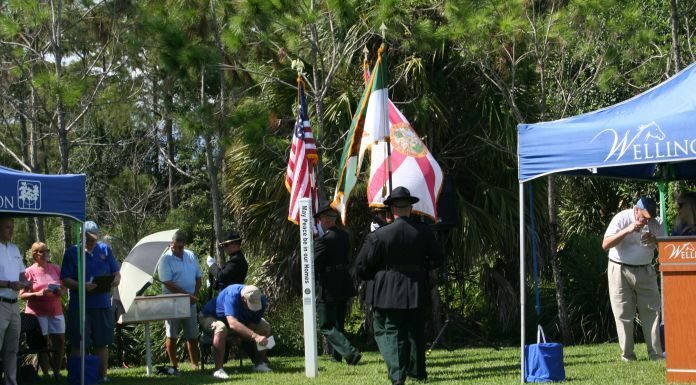 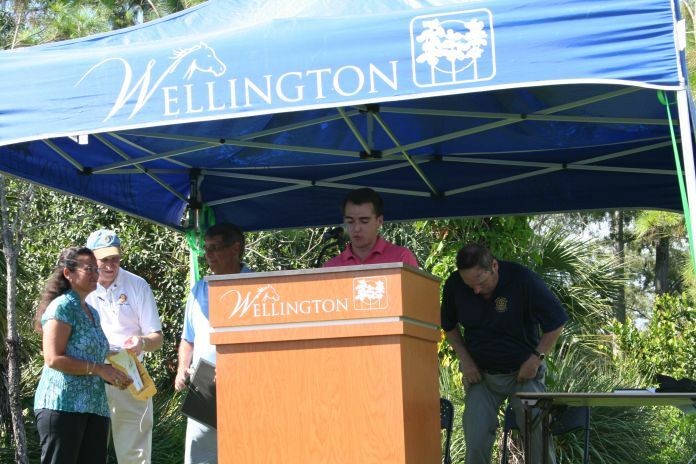 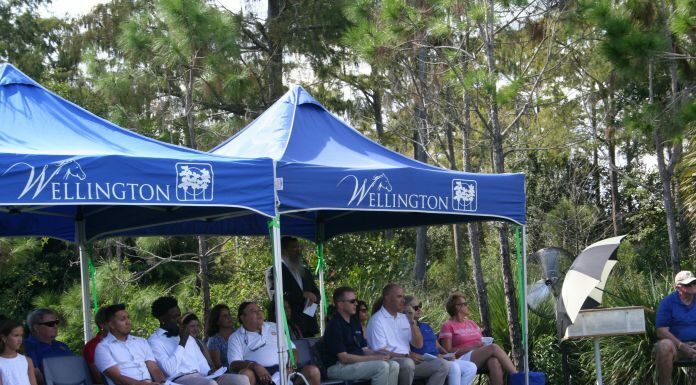 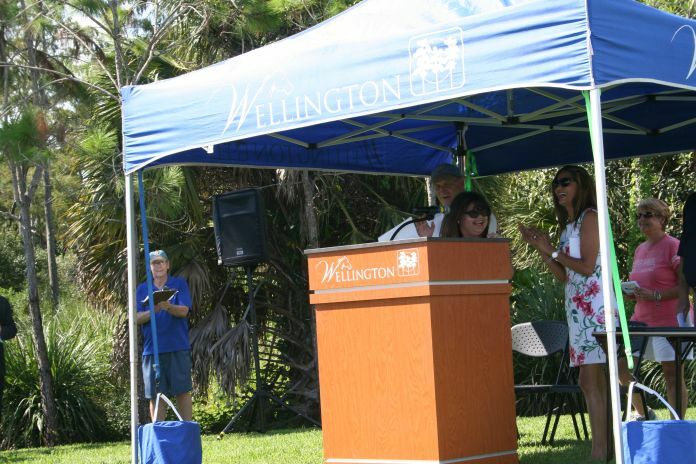 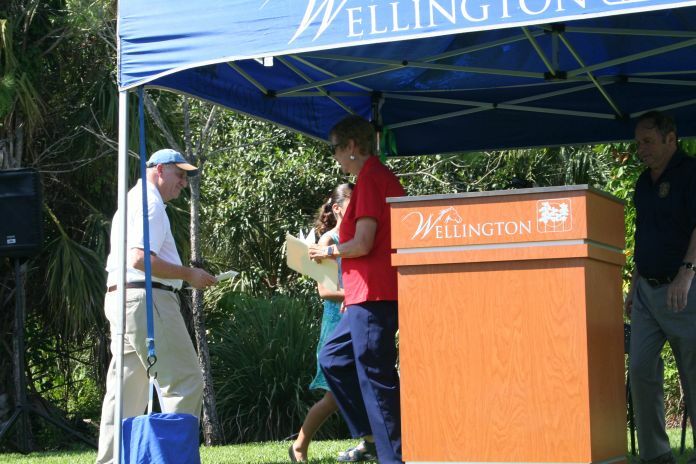 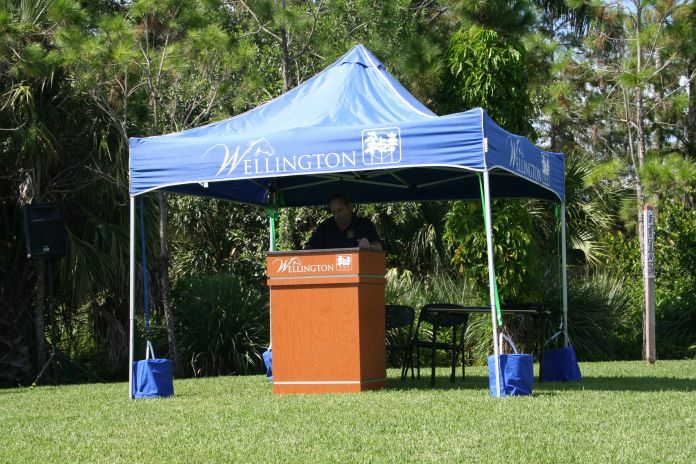 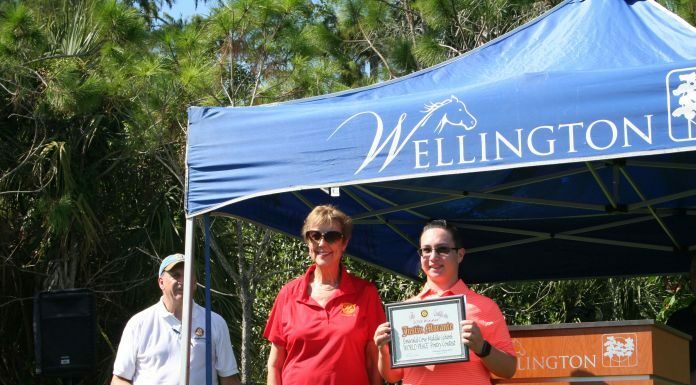 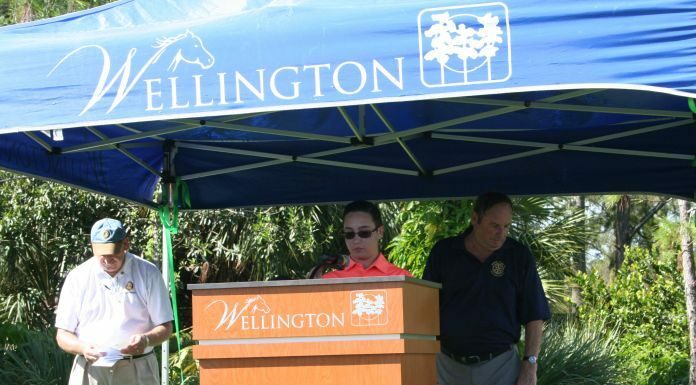 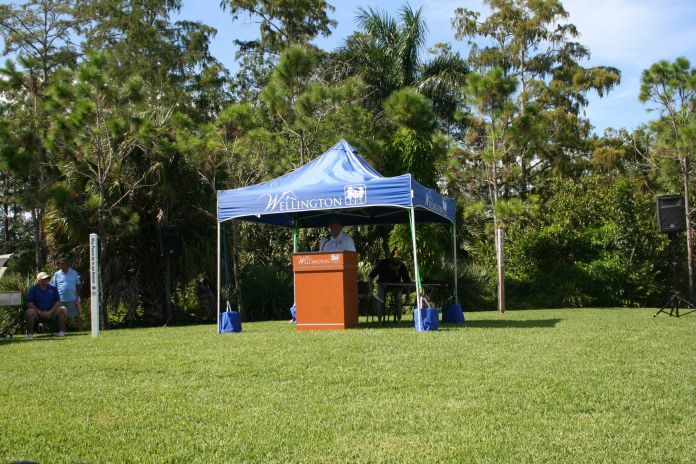 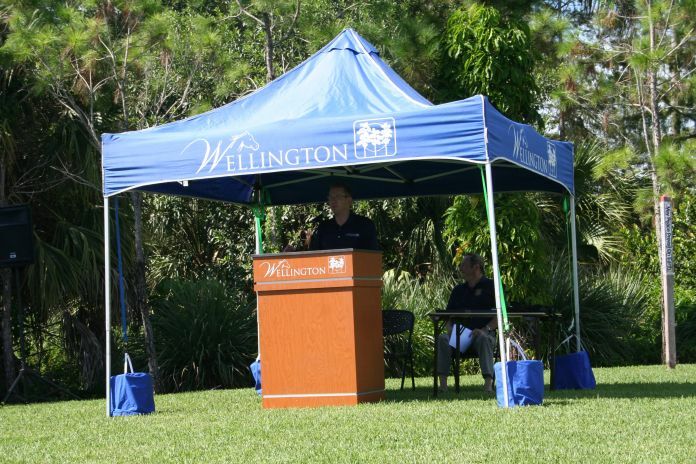 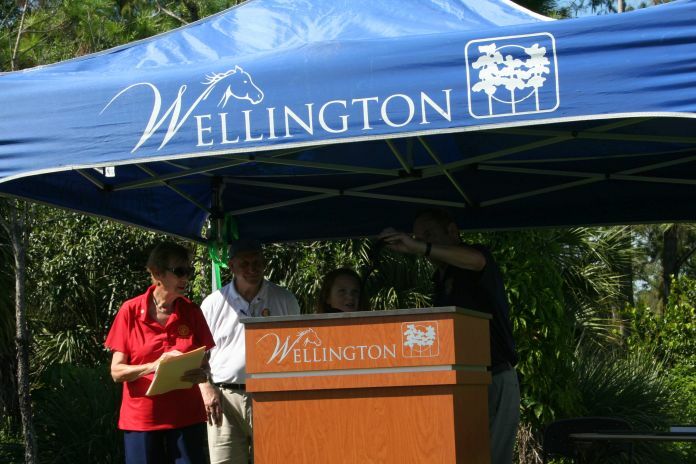 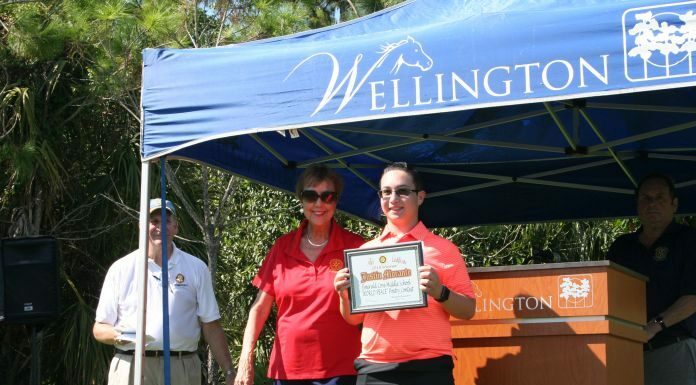 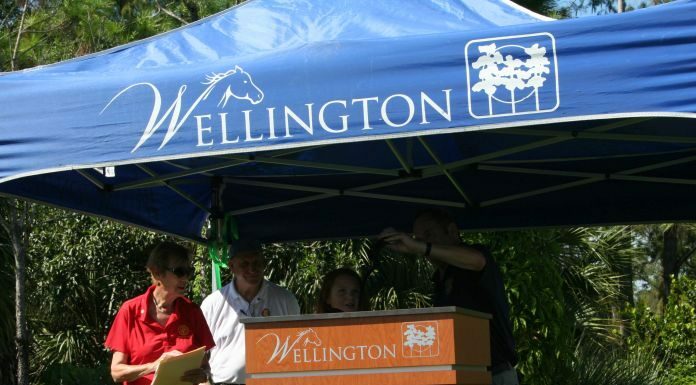 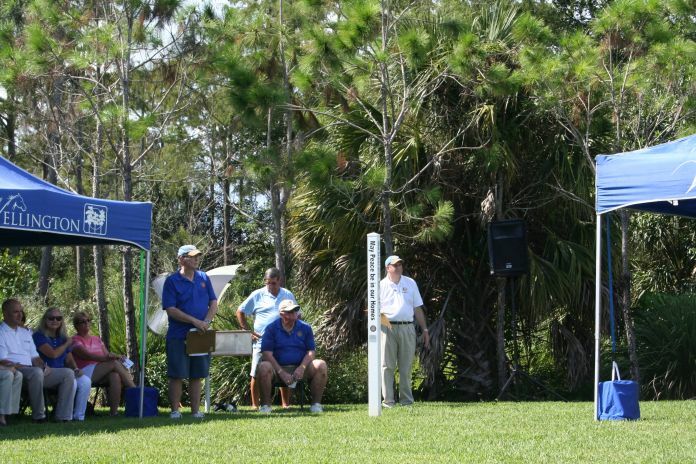 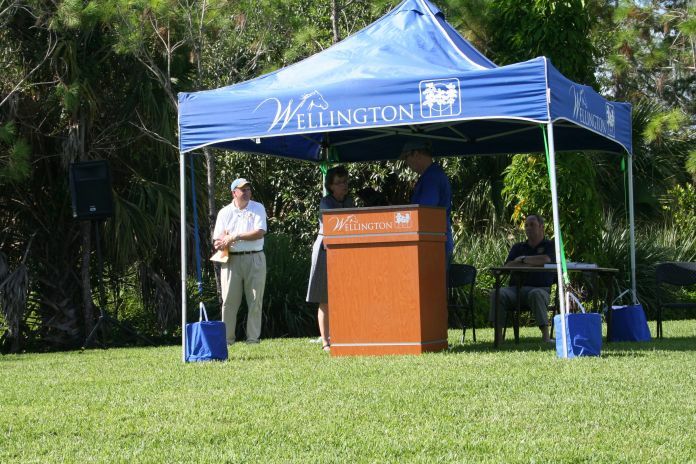 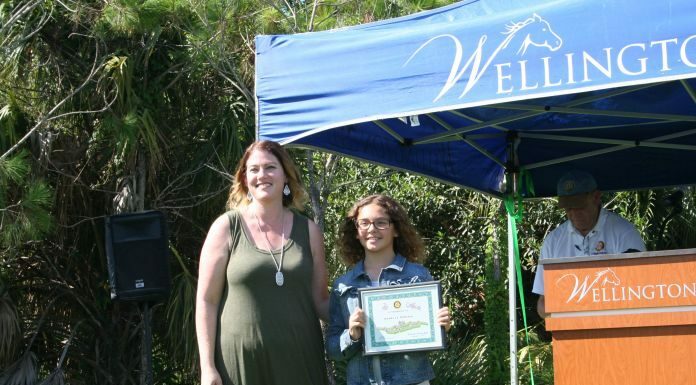 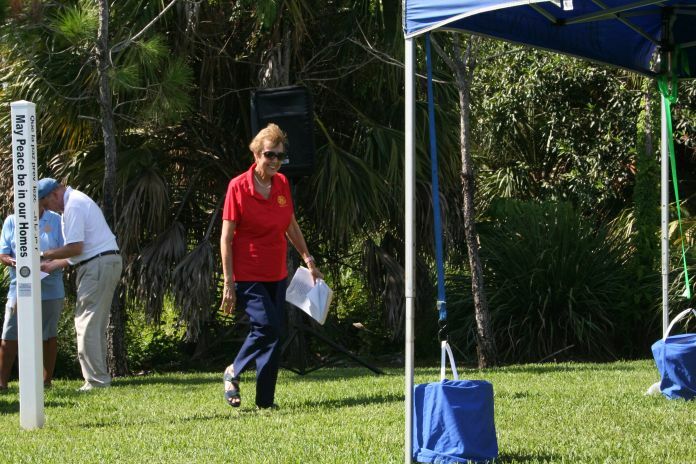 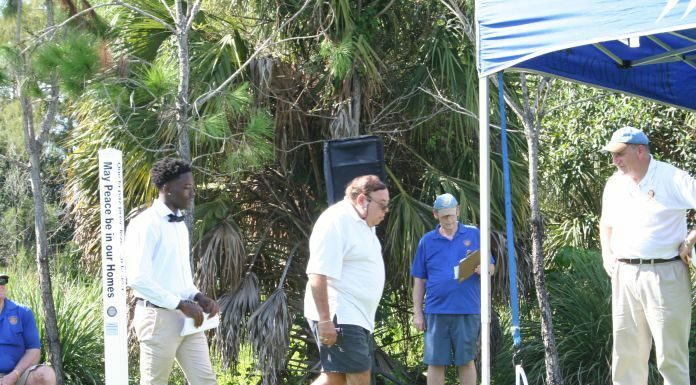 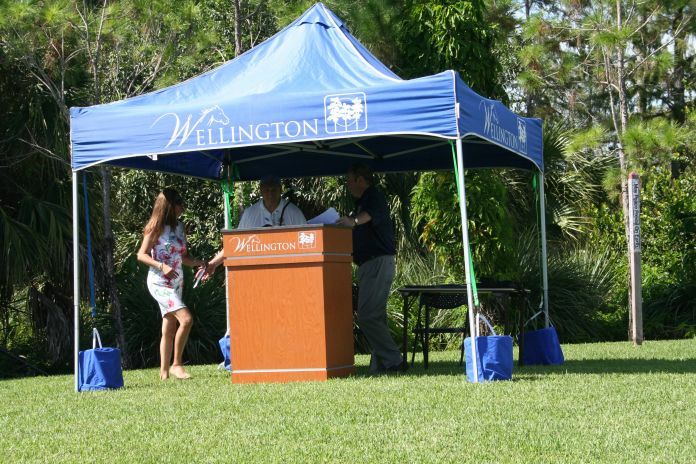 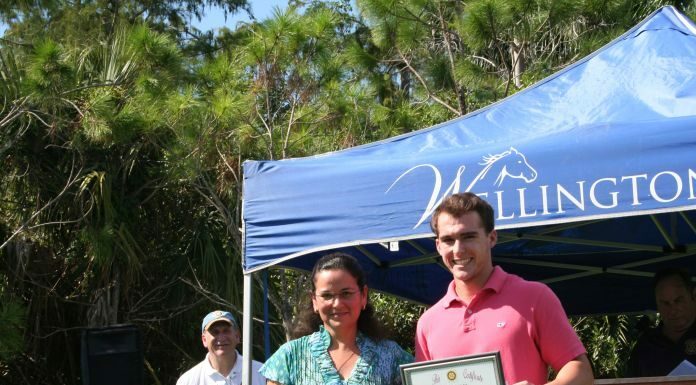 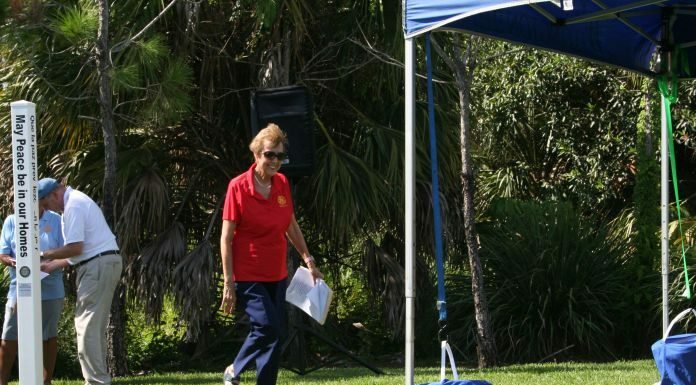 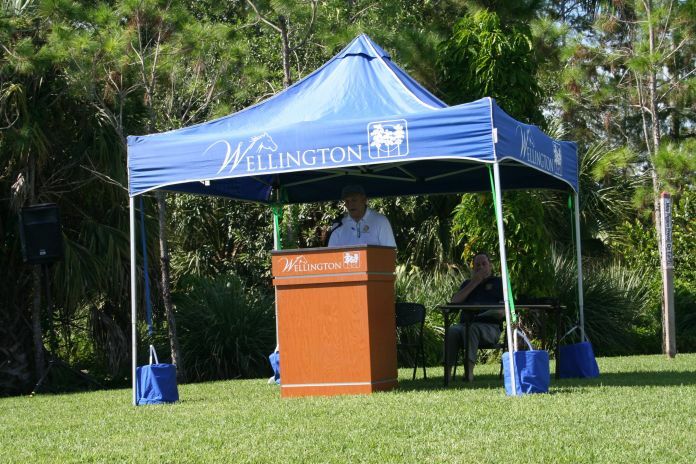 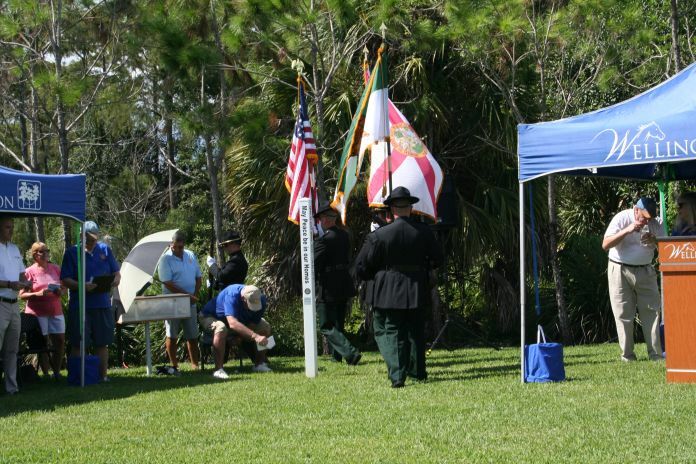 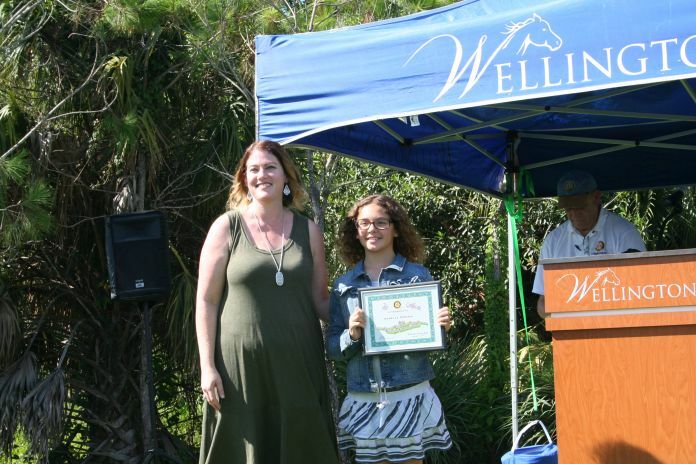 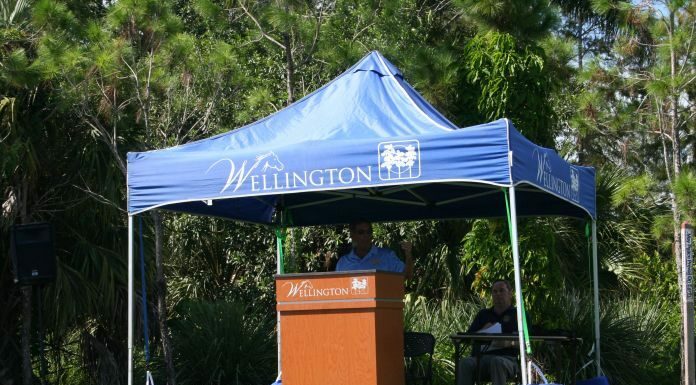 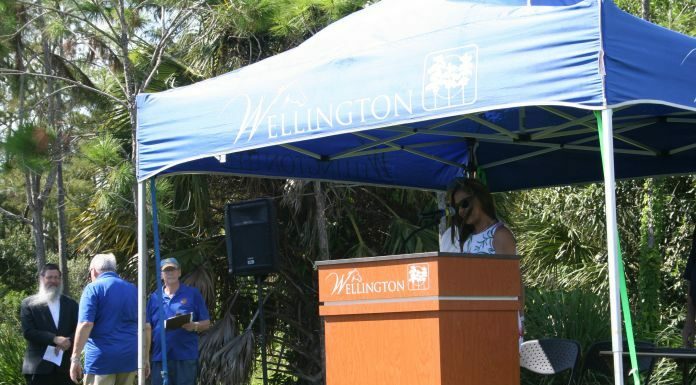 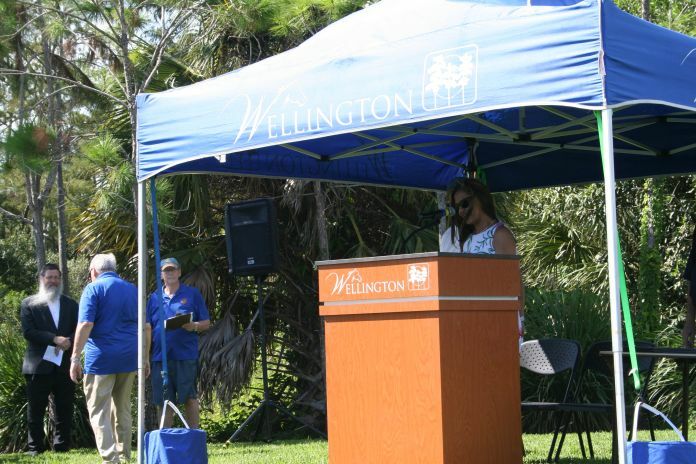 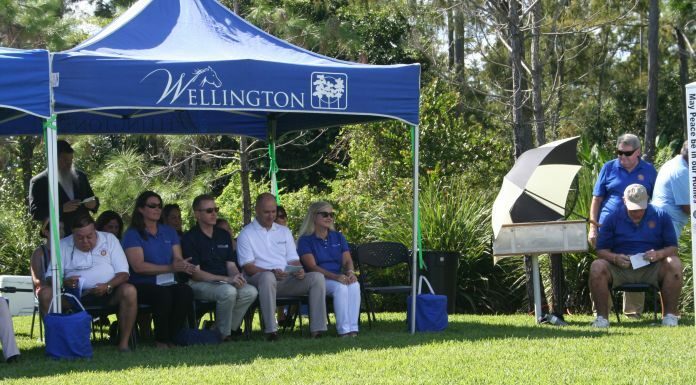 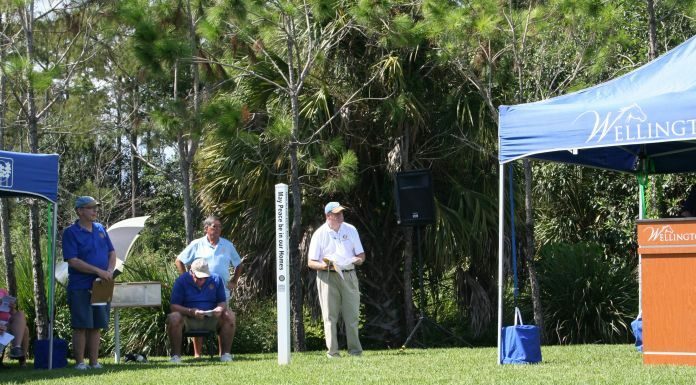 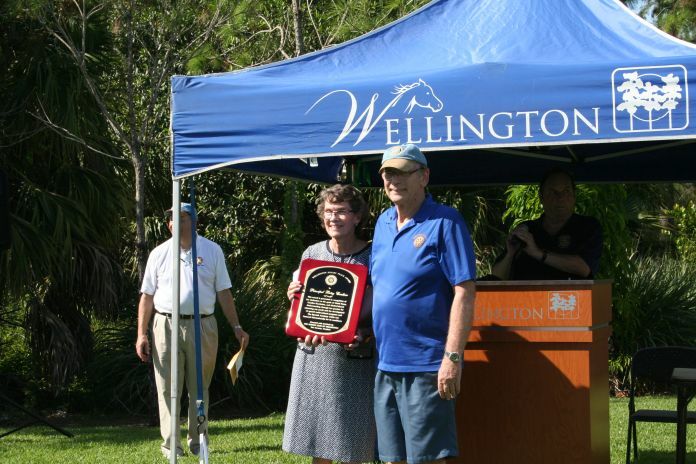 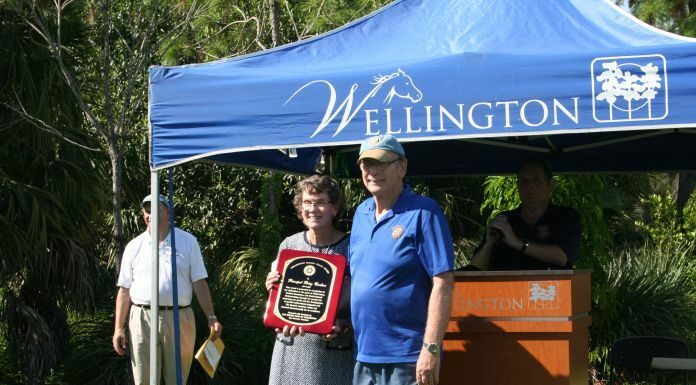 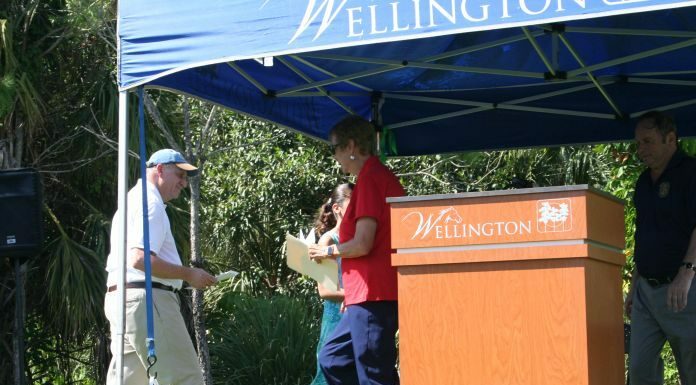 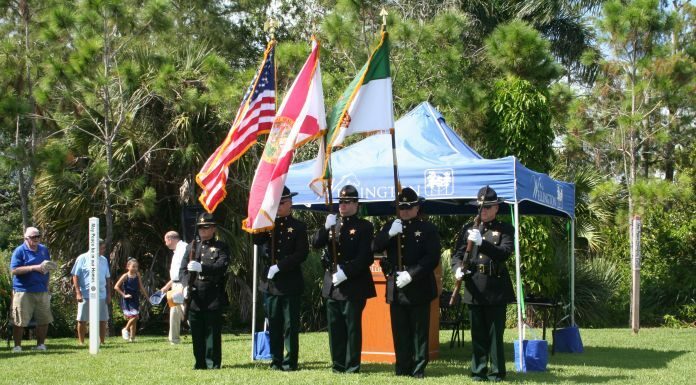 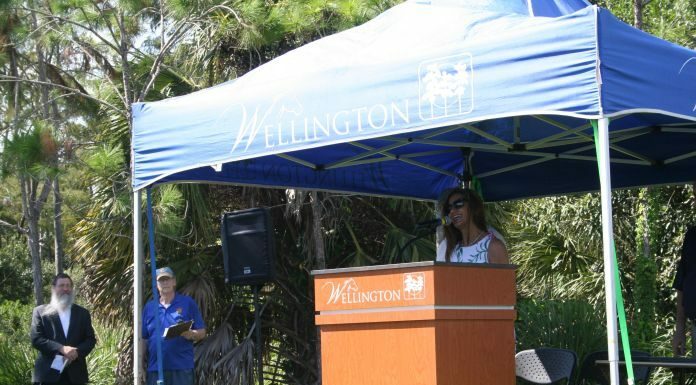 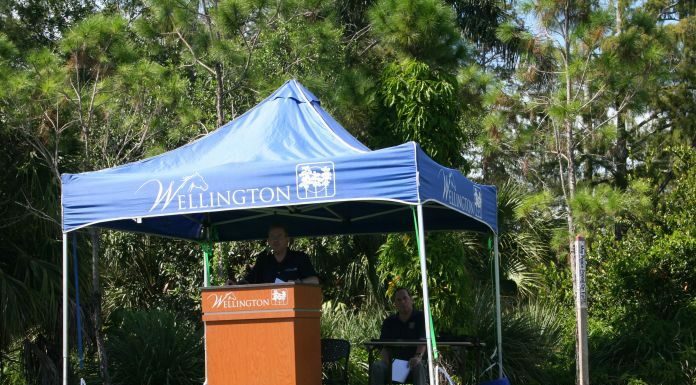 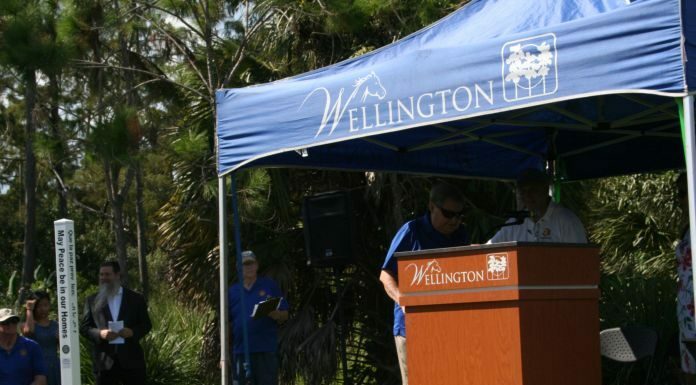 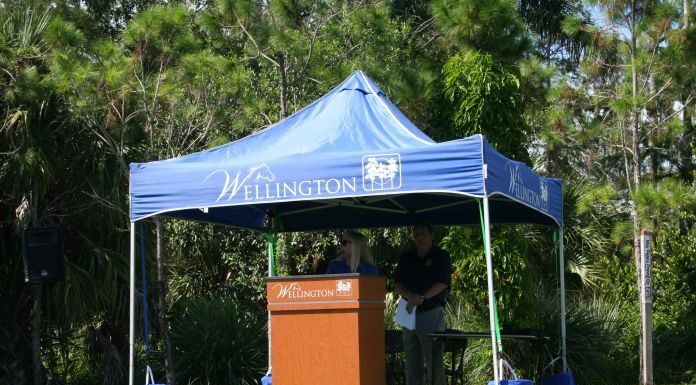 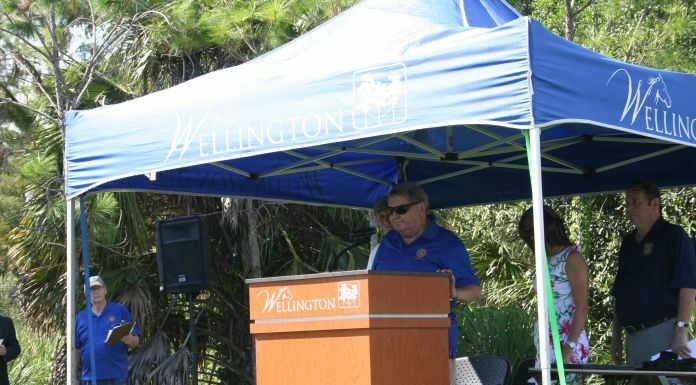 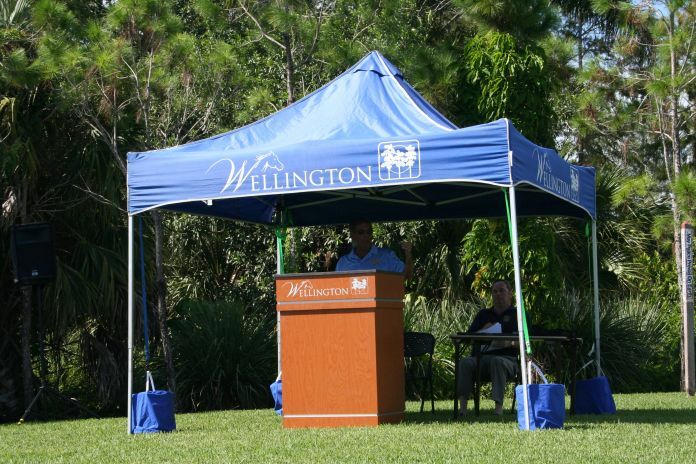 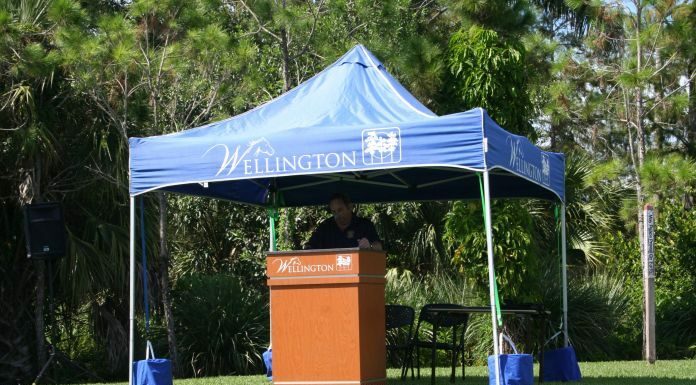 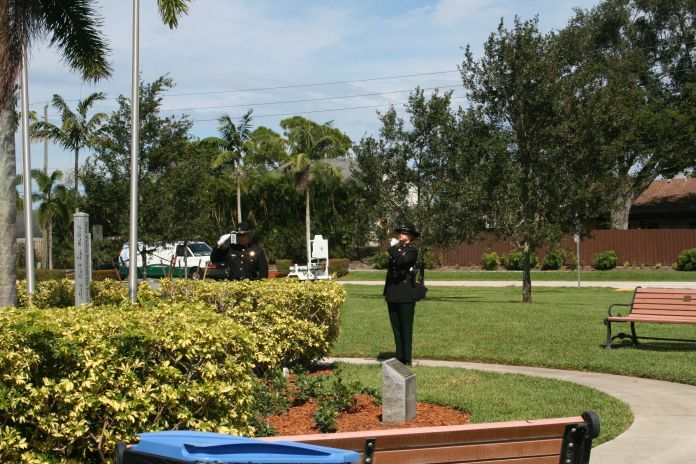 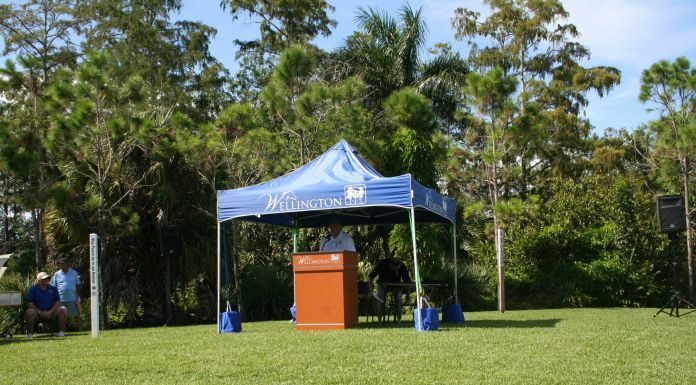 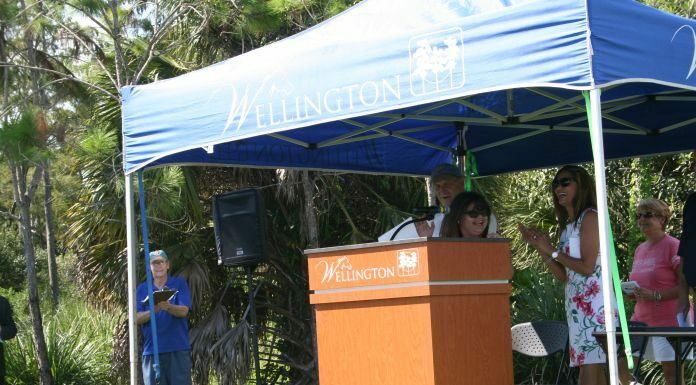 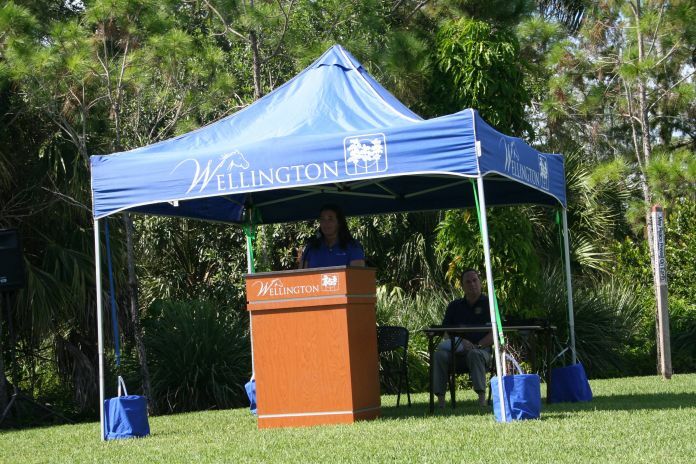 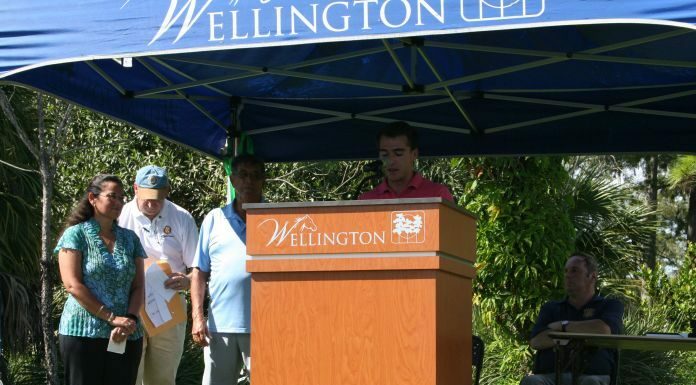 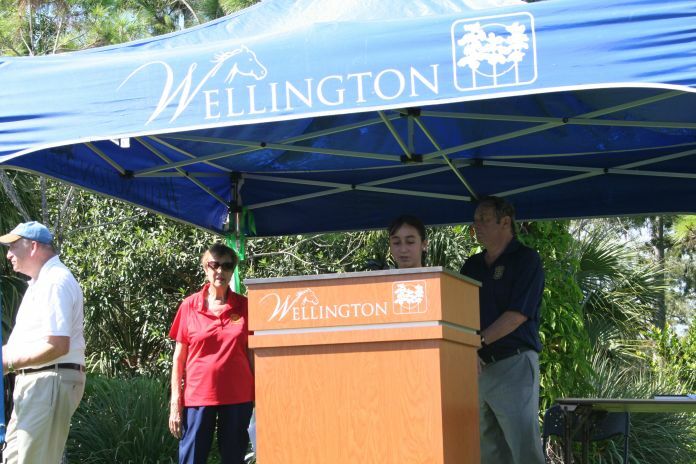 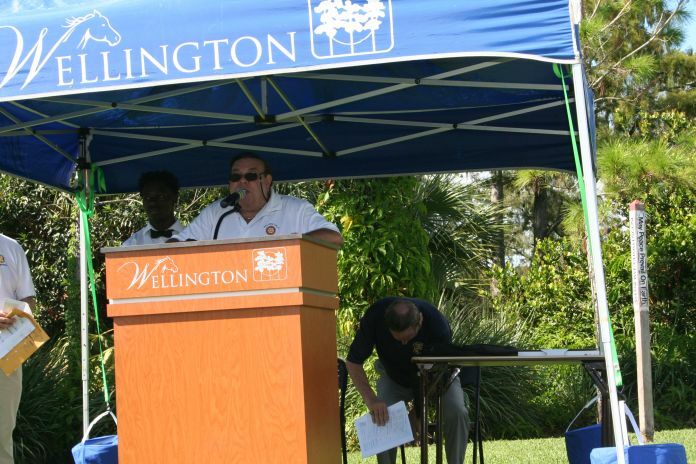 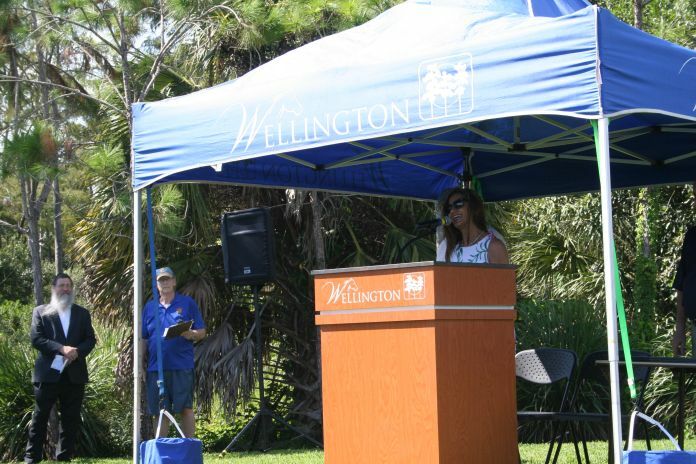 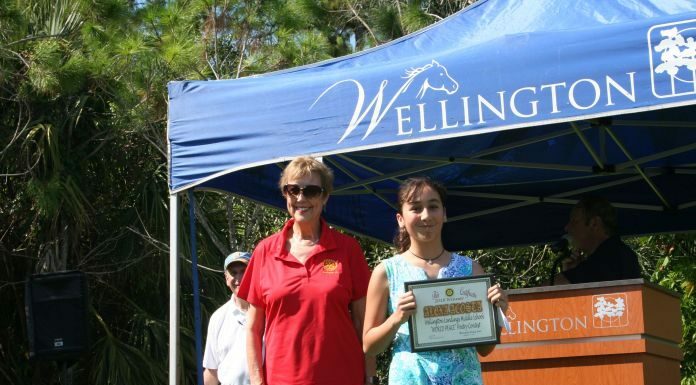 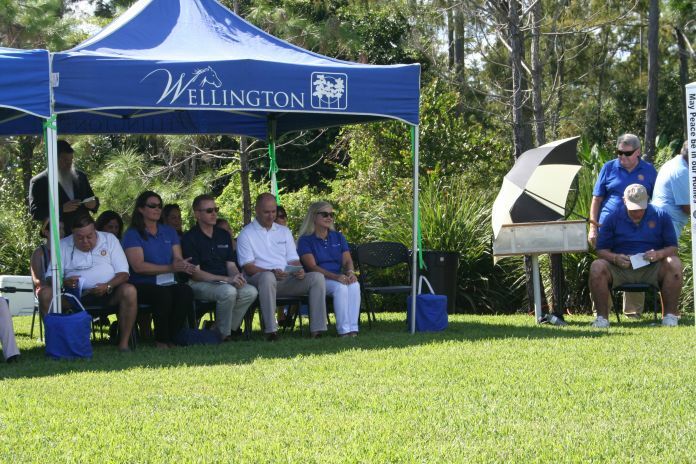 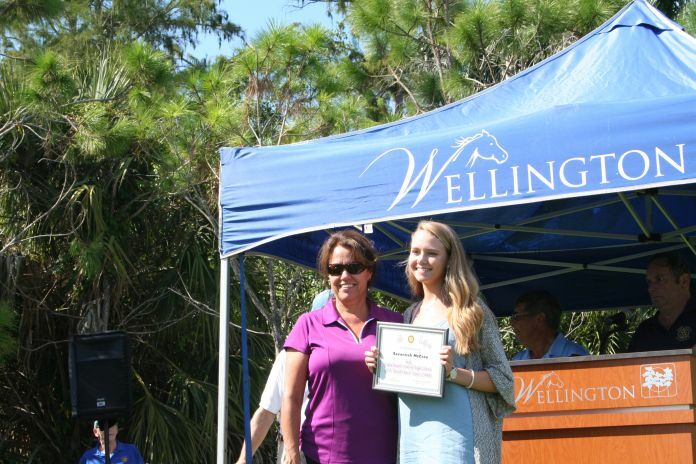 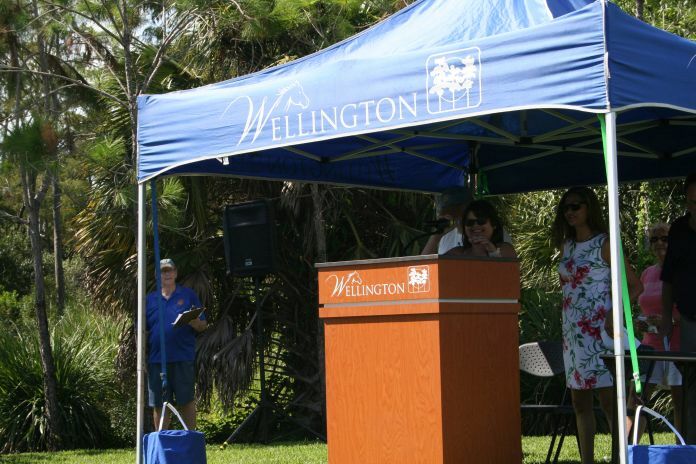 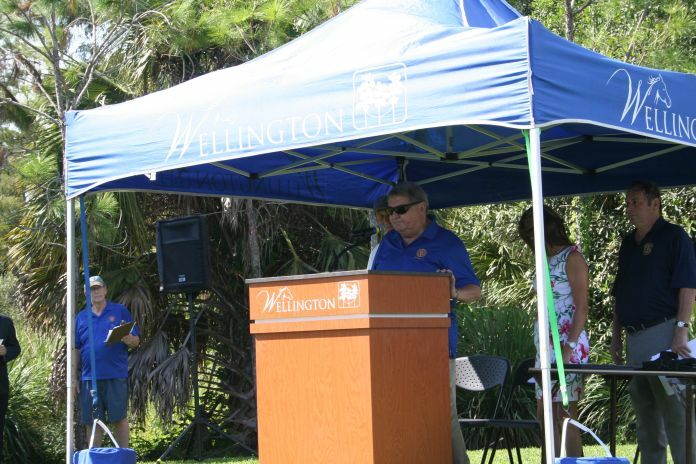 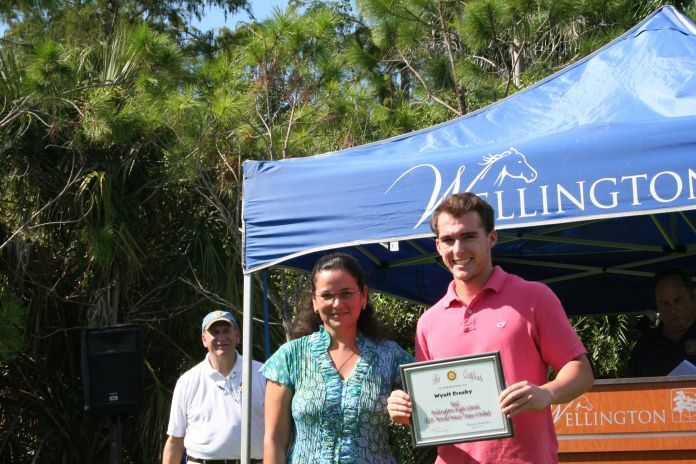 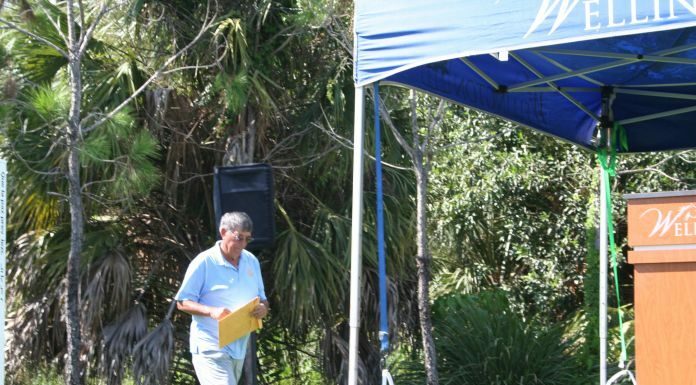 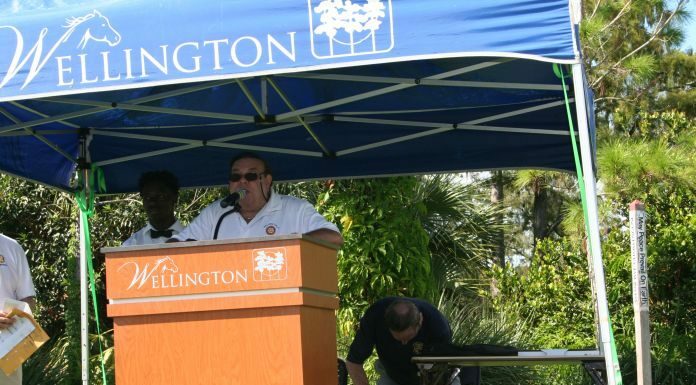 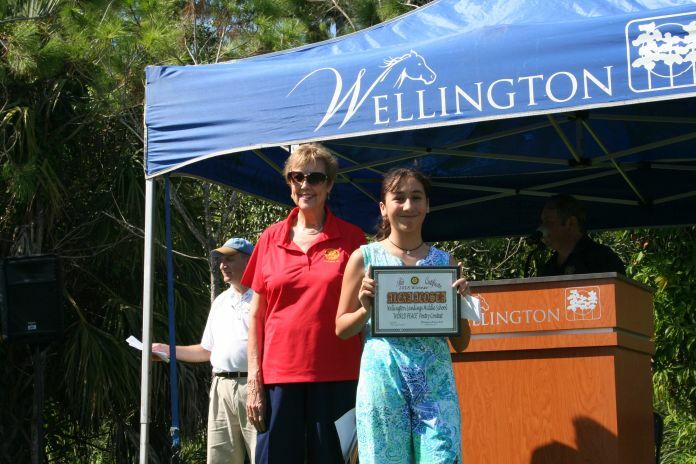 The event took place at Wellington Rotary Peace Park at Royal Fern Drive in Wellington. 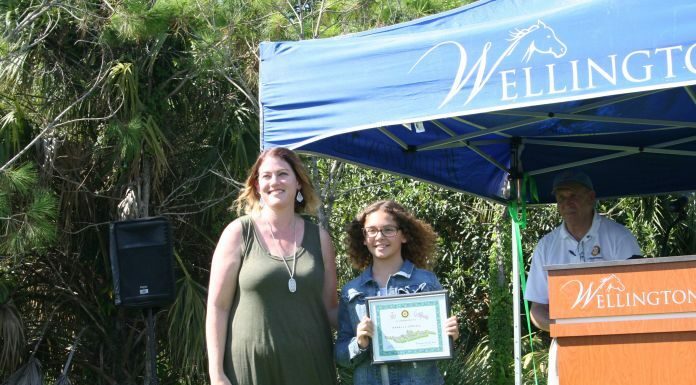 Many local students and their teachers were honored for their efforts with posters, poems and essays about peace. 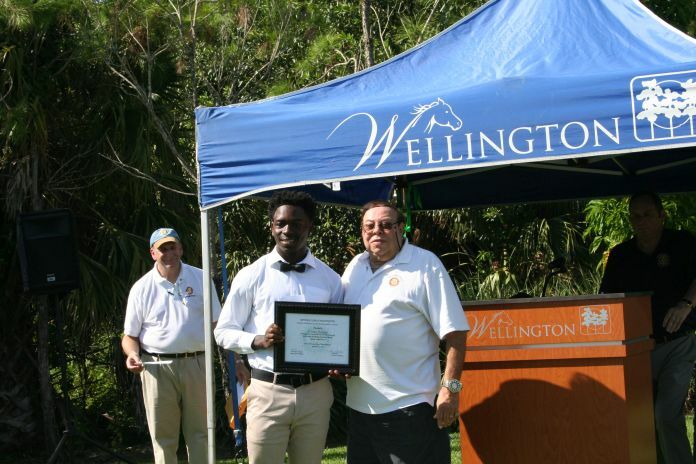 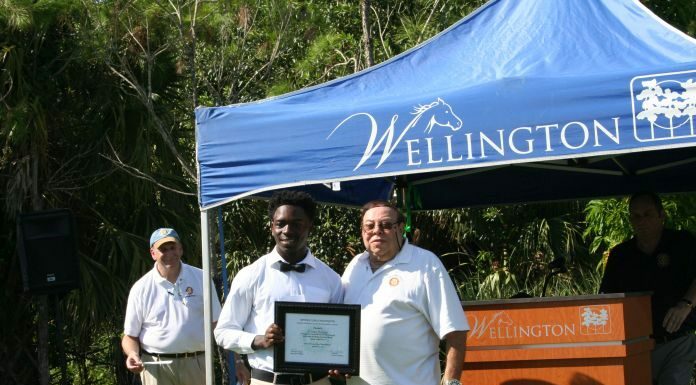 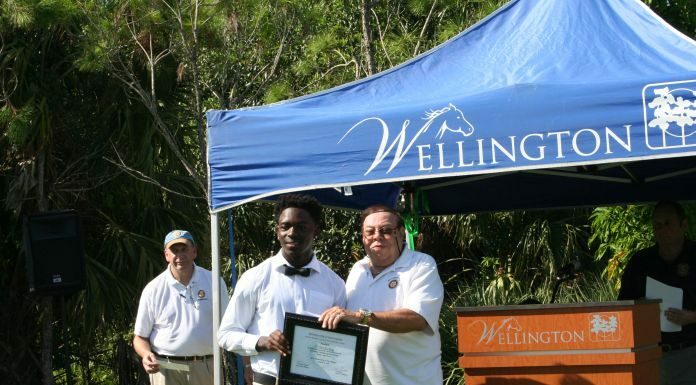 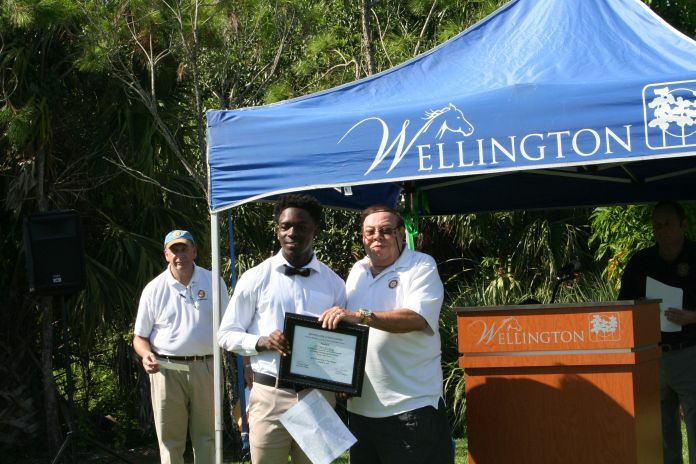 The SMART Award was given to O’Mari Burgess of Wellington High School. 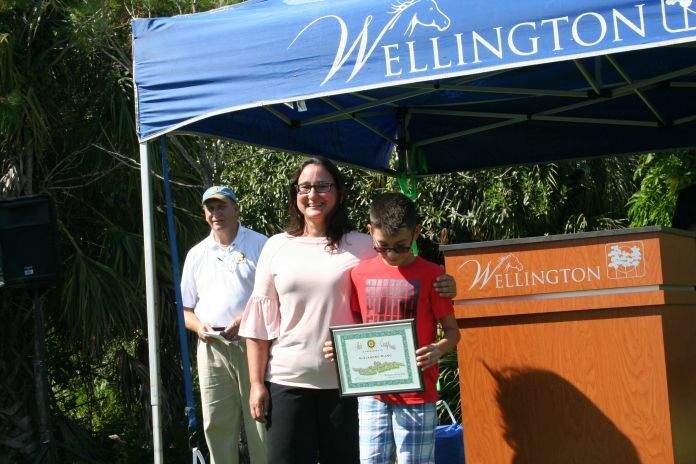 The Community Peace Award was given to Betsy Cardozo, Principal of New Horizons Elementary School. 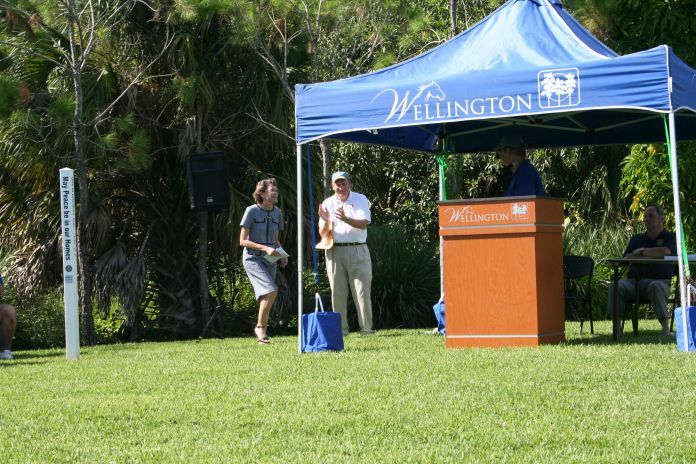 The event concluded with doves being released into the air.